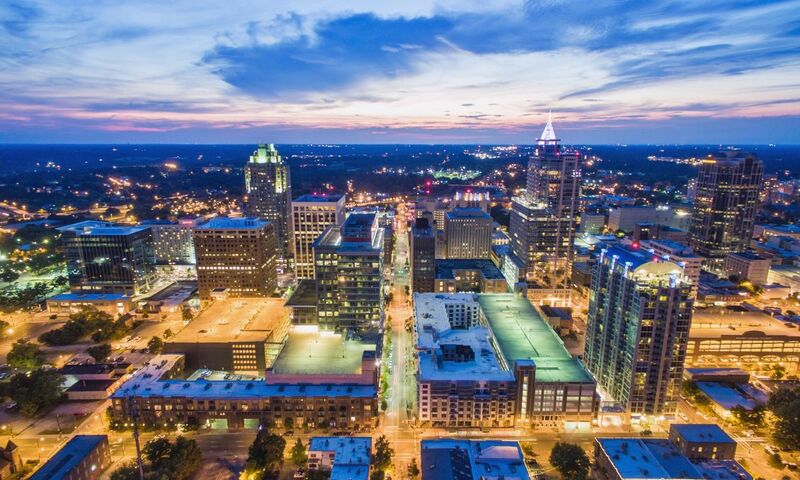 Raleigh, N.C., is constantly in the news on a "Best of" list, for our new developments or just as a great place to visit. Below, find some highlights from recent magazine, newspaper and blog articles, as well as a few familiar faces being interviewed on local and national television. "6 Raleigh Arts Institutions for Creative Off-Site Events"
"One Great Weekend: What to do in Raleigh, North Carolina"
"Yes, There Are Potato Chips in Your Very Crunchy Bagel Sandwich"
"A New Generation of Chefs is Bringing Real Indian Food to the South"
"Locals Seafood Opens its First Restaurant"
"North Carolina: Meta Dei Sogni per Gli Amanti Della Birra (North Carolina: Dream Destination for Beer Lovers)"
"Great Golf and Grub Within Grasp in North Carolina"
"Best Driving Vacations: Raleigh’s Restaurant Renaissance"
"The City Trying to Make Better Bagels Than NYC"
"Power Up Your Meeting at One of These High-Tech Destinations"
"Le Sud des Etats-Unis 2019/2020 (United States, South Guide 2019/2020)"
"2019 Top 100 Best Places to Live"
"Sunny Ways to Roll into North Carolina"
"Caroline du Nord : Un Nouveau Vol Vers Raleigh Attendu (North Carolina: A New Flight to Raleigh Expected)"
"The Best Restaurants in Raleigh and Durham, North Carolina"
"Why These Chefs Think You Should Skip the Valentine’s Day Prix Fixe Menus"
"Culture and Nature in Raleigh, N.C."
"Getting Wake County to 21 Million Visitors by 2028"
"A Weekend Getaway in Raleigh (for less than $300)"
"Larry's is the Best Mid-Range Coffee Available Right Now"
"Day Date Things to Do in Raleigh"
"Piraten, Bier und Tolle Strände (Pirates, Beer and Great Beaches)"
"Another Big Year for Bluegrass in Raleigh"
"Why CVBs and DMOs are Planners' Perfect Partners"
"The Mix That Makes a Music Festival Great"
"North Carolina Café Allows Customers to Pay What They Can"
"Great Places to Eat, Play and Stay on a Raleigh, N.C. Vacation"
"13 Brewery Brunches You’ll Love"
"Never Stay at Crummy Airport Hotels Ever Again"
"Best Restaurants in North Carolina's Research Triangle"
"Hotels, Motels: Raleigh in Ten Years"
"Exuberant Diwali Sweets From a Rock-Star Chef"
"Value Vacations — A Local’s Perspective on Why Raleigh, North Carolina, Deserves to Be Your Next Budget-Friendly Destination"
"10 Dishes with Chef Cheetie Kumar"
"Raleigh is Attracting More Hotels, but are They the Right Ones?" "5 Breweries in Raleigh You Need to Visit"
"What to Eat and Drink Around the World This Week"
"Insider Video: Discover the Luxury of The Umstead Hotel in North Carolina"
"In the American South, an Heirloom Baking Boom is Underway"
"Where to Eat, Stay and Play in Raleigh-Durham"
"Case Study - Visit Raleigh: InterActivity 2018"
"Southern Charm, Big City Sights"
"Great Brewery Rooftops That Offer Brews with a View"
"Episode 112: Steven Devereaux Greene, The Umstead Hotel and Spa (Cary, NC)"
"Most Under-the-Radar Cities in America"
"The 32 Hottest Breweries in America Right Now"
"Discover the Best of Raleigh"
"Everything to Know About Raleigh"
"How Southern Food Has Finally Embraced Its Multicultural Soul"
"Meet the 31 People Who Are Changing the South - Ashley Christensen"
"Plant-Based Paradise in the Carolinas"
"Dining Reinvented: 4 Southern Food Halls Worth the Drive"
"Sip, Stroll and Snack: 10 Must-Try Food Tours in North America"
"The Next Phase in Beer Cocktails. It's Happening Now." "A North Carolina Road Trip (Part Two) -- Pittsboro to Raleigh"
"North Carolina’s Triangle Region Showcases Sports Venues"
"9 Great Cocktail Venues for Groups to Network and Unwind"
"Why North Carolina Should Be Your Next American Adventure"
"Cary, N.C., Offers Quaint Charm, Quiet Sophistication"
"Fried Bologna Sandwiches Are Everything America Needs Right Now"
"Hot in the City: Raleigh, NC"
"Walking Guide to Downtown Raleigh, North Carolina"
"Signature Cocktails Define These Towns: Cherry Bounce"
"Southern Hospitality, North Carolina Style"
"50 States of Cheesy Dishes"
"7 Mouthwatering Destinations for Food Hall Fun"
"Raleigh, North Carolina, Offers Tasty Cuisine and Modern Art in the Perfect Romantic Getaway"
"The Best Places to Go in April"
"Top Convention Cities for Innovation"
"The Most Romantic Weekend Getaways in America"
"Fun Winter Things to Do in Raleigh"
"10 Things We Love in Raleigh, N.C."
"Made in North Carolina: Flavors Only Found in Raleigh"
"Eight Reasons to go to Raleigh, N.C."
Brewery Bhavana: One of the "Best New Restaurants of 2017"
"Attendees Experience a Confluence of Creativity in Raleigh"
"30 Most Exciting Food Cities in America 2017"
Brewery Bhavana: One of "The 10 Coolest Places to Eat in 2018"
"Christmas Memories at Angus Barn"
"Dig Deep into the City of Oaks with These 5 Raleigh Must-Do’s"
"48 Hours in Raleigh: Where to Eat and Drink"
"Take an Art-Filled Road Trip Through North Carolina"
"Toasting Raleigh, North Carolina's Community Spirits"
"At Brewery Bhavana, Congee Is a Way to Remember Home"
"The Best Rooftop Bars in Hotels in the U.S."
"Save & Splurge: Raleigh, N.C."
"Inside Raleigh's North Person Street Neighborhood"
Thrillist named 42nd St. 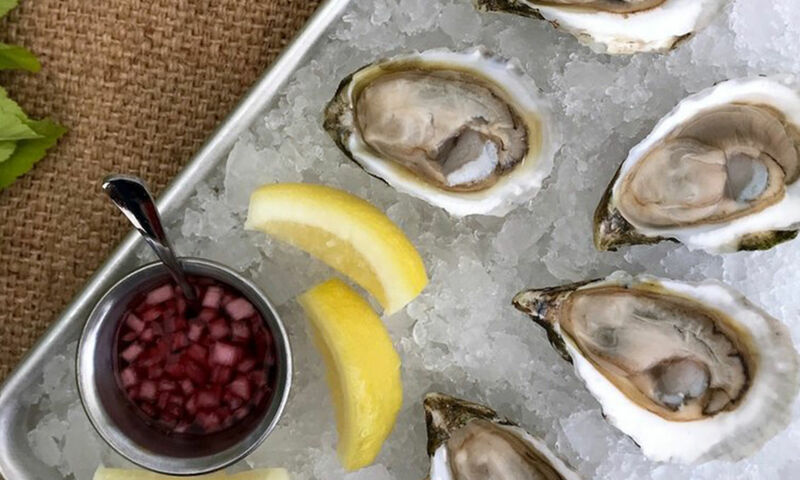 Oyster Bar & Seafood Grill RDU International Airport&apos;s best restaurant. Orbitz.com showcased Raleigh&apos;s growth, culinary scene, festivals, neighborhoods and more in "Is This City the New Belle of the American South?" Thrillist named downtown Raleigh&apos;s Warehouse District one of the "12 Neighborhoods Across America That Are About to Get Crazy Popular." Meetings Today featured themostnc.com, PNC presents Wide Open Bluegrass festival and multiple live music venues in the "Sound Tracks" article in the Oct. issue. Architecture, history, cocktails, hiking and art were highlighted in Tripveel&apos;s "5 Reasons to Visit Raleigh." Mother magazine produced a Raleigh city guide for families travelling with kids in "Mother Hoods: Raleigh, N.C."
Our State magazine showcased how to spend "8 Hours in Raleigh" by highlighting key attractions and restaurants. Garden & Gun named Raleigh one of "The South&apos;s Best Food Towns" in their Oct./Nov. issue. 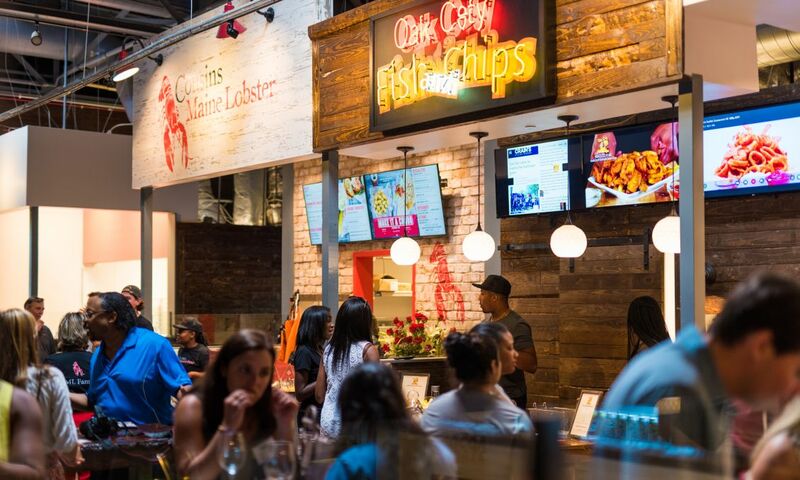 The article praised Raleigh as a flourishing foodie town and mentioned restaurant veterans, new restaurants on the scene and the two upcoming food halls. Northern Virginia Magazine featured Raleigh in their "Take a Weekend Getaway" series. Group Tour Southeastern included a Raleigh culture and history itinerary in their Sept. issue. Parenting blog A Child Grows in Brooklyn highlighted Raleigh for "A Weekend Away: 48 Hours in Raleigh With the Kids." 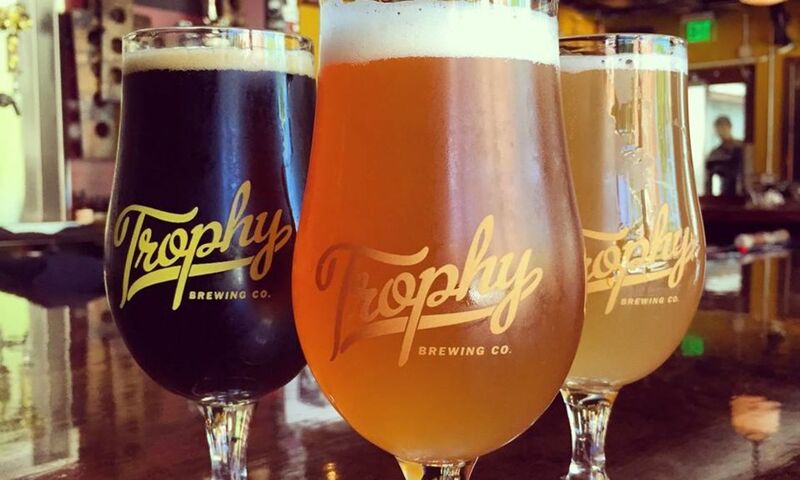 CBS This Morning interviewed Bon Appétit magazine&apos;s editors who discussed how The Hot 10 were selected, including Raleigh&apos;s own Brewrey Bhavana. 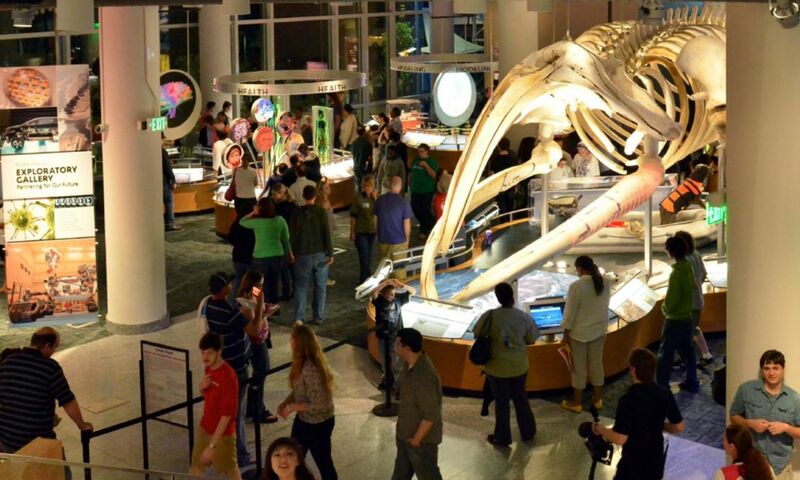 Trekaroo profiled "Must-Do Family Adventures in Raleigh, N.C." including museums, outdoor activities and the foodie scene. Vogue.com featured Mulino Italian Kitchen & Bar in an article about "Lambrusco&apos;s Comeback, and Why It&apos;s Brushing Shoulders with Rosé." Improper Bostonian magazine highlighted Raleigh&apos;s walkable downtown area in a "Raleigh Ramble" article. Vogue did a roundup of tasty coffee soda drinks and included a recipe from Raleigh coffee shop 42 & Lawrence. 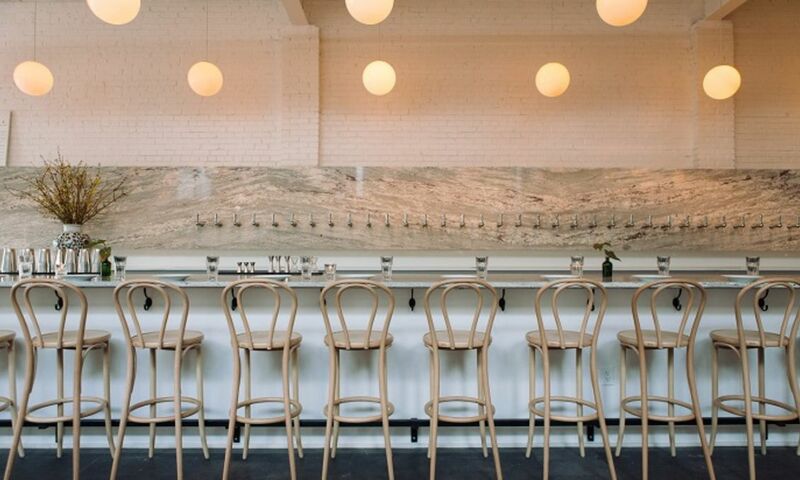 Bon Appétit named Brewery Bhavana one of the "50 Best New Restaurants in America." 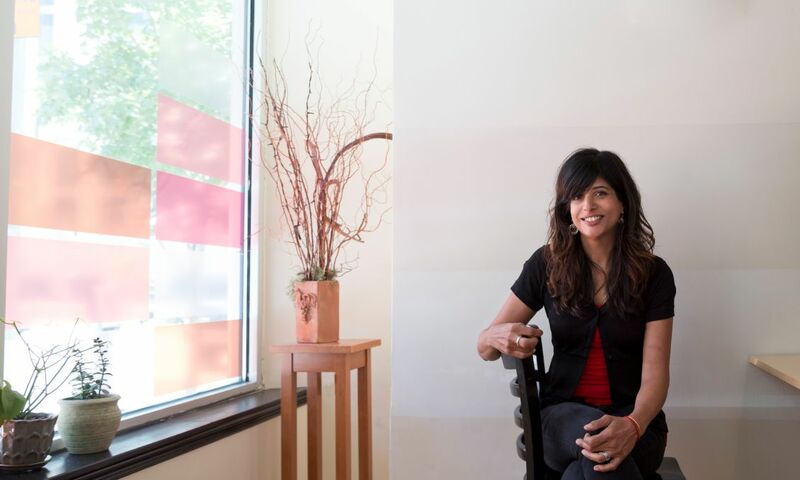 Food & Wine did a profile on Raleigh chef Cheetie Kumar and how her worlds as a musician and chef collide. Food & Wine did an article on Raleigh Beer Garden and how the world&apos;s largest beer garden keeps all 402 of their taps fresh. 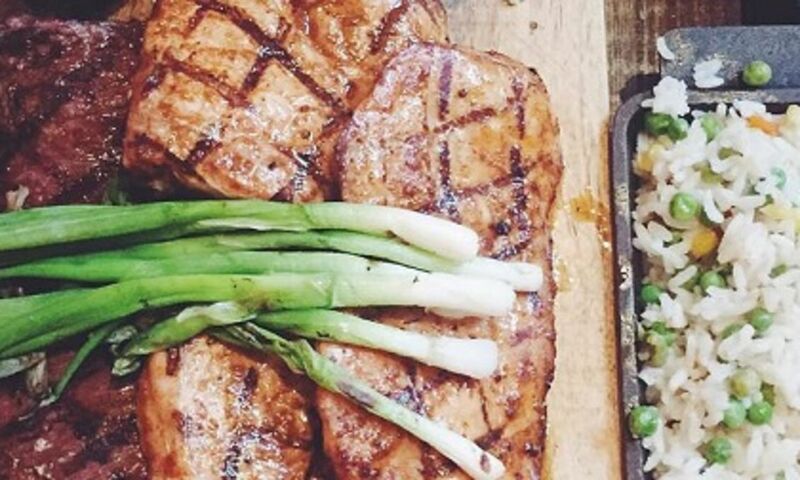 Vogue magazine included Raleigh chefs Ashley Christensen and Cheetie Kumar in a roundup on summer grilling tips and recipes from top female chefs across the country. 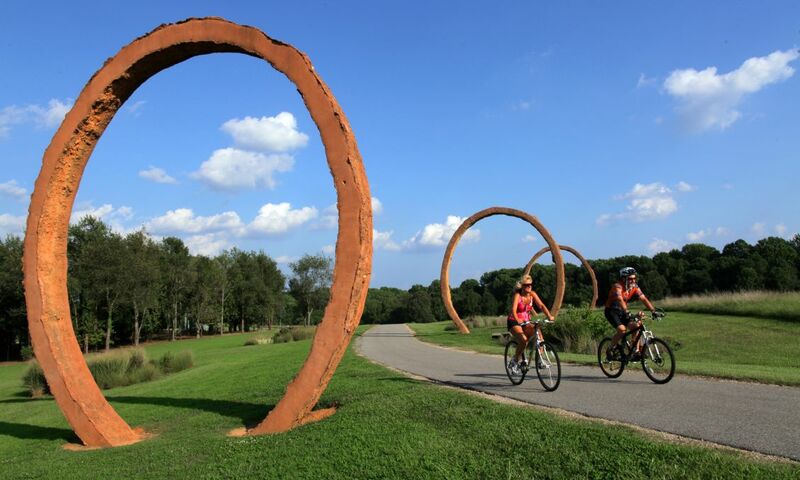 Men&apos;s Health ranked Raleigh one of the "10 Most Adventurous Cities in America," citing the city&apos;s greenway system which offers more than 100 miles of trials for running, walking and biking, the city&apos;s BMX assets, horse-back riding and water sports as reasons to visit the capital city. Garden and Gun included Raleigh&apos;s Hopscotch Music Festival in their lineup of Southern festivals well worth adding to the calendar. 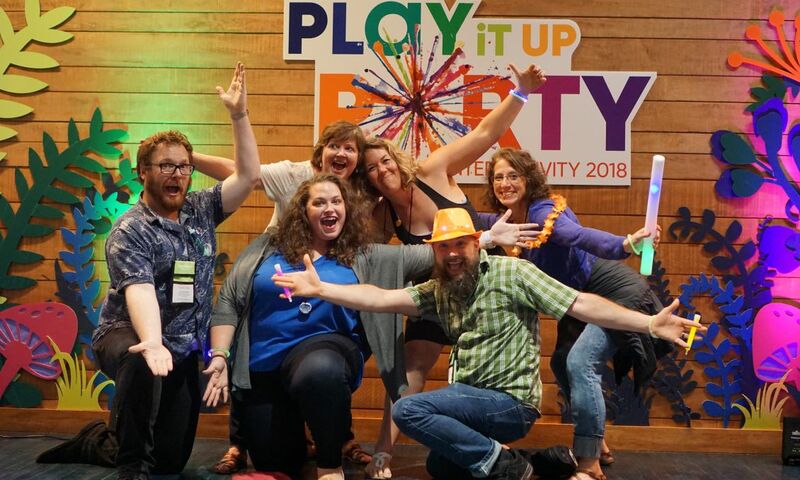 Convene magazine ran an online article about how meeting planners can leverage relationships with destination marketing organizations to create better meetings and included Raleigh-based Dude Solution&apos;s "Dude University" conference as a case study. Meetings Today did a nice write-up on Raleigh&apos;s hotel package and unique off-site venues in their April issue. 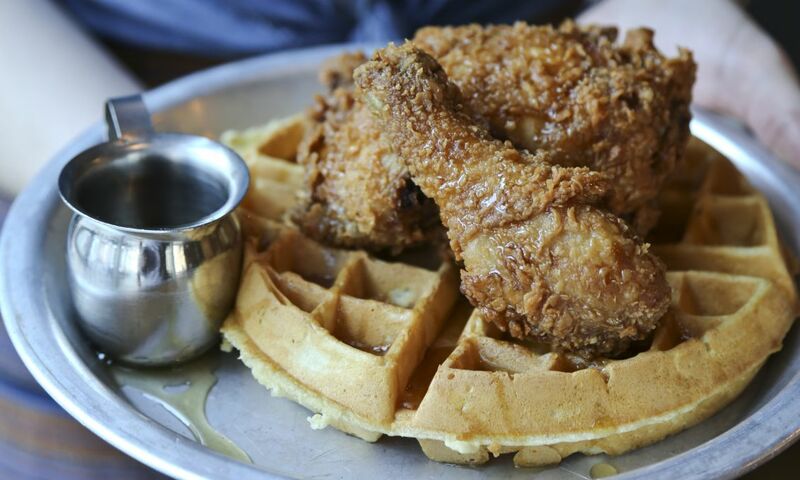 USA TODAY called Raleigh one of "five underrated food cities on the East Coast." 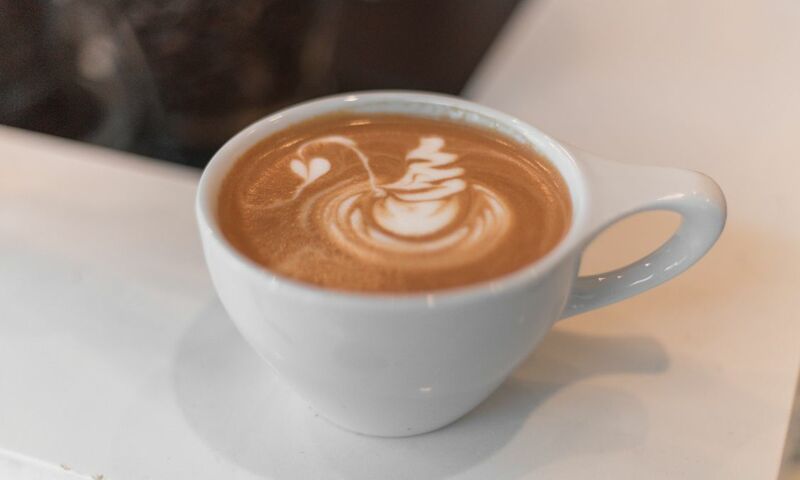 Montreal, Canada-based travel writer and blogger Jean-Michel Dufaux included Raleigh&apos;s 42 & Lawrence in a roundup of his favorite N.C. coffee shops on his blog Siège hublot. Travel + Leisure readers called Raleigh one of "America&apos;s Geekiest Cities" in their annual America&apos;s Favorite Places survey. Fight or Flight Comics and Boxcar Bar + Arcade received mentions in the article, and events such as Raleigh Supercon and Animazement give visitors added reason to plan a trip. 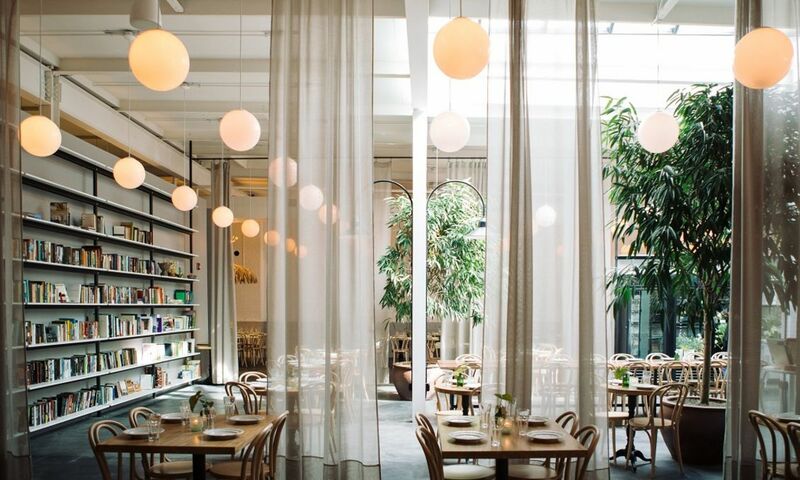 Travel + Leisure readers called Raleigh one of their "Top 10 Favorite Cities for Brunch" in their annual America&apos;s Favorite Places survey. 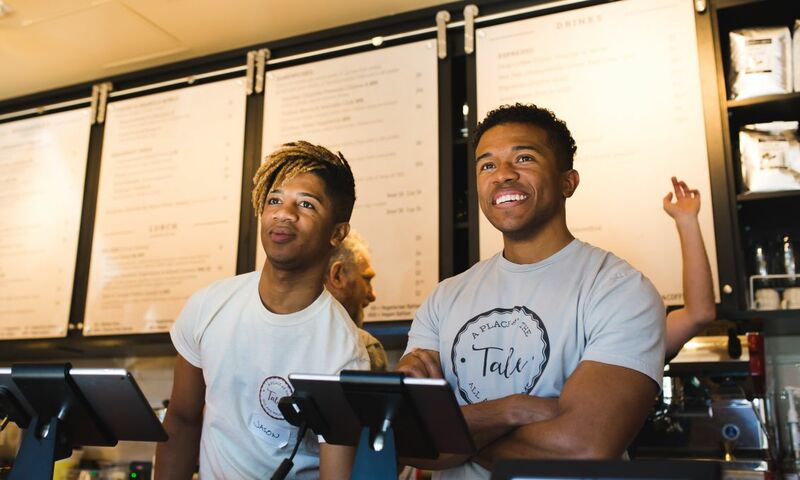 Local eateries Beasley&apos;s Chicken + Honey, Humble Pie and Coquette received mentions in the article. 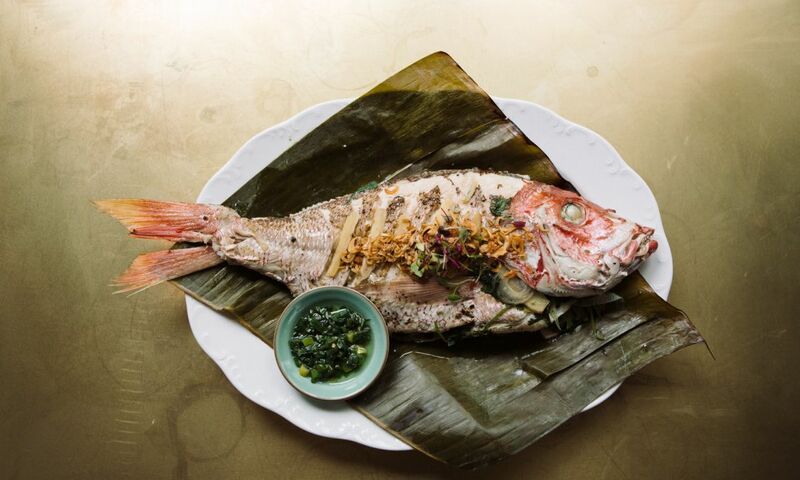 The Atlanta Journal-Constitution included the new Vidrio in a roundup of trip-worthy restaurants around the state of N.C.
Forbes Travel Guide named Raleigh as one of their global "12 Top Destinations of 2017." AAA World magazine ran a feature story as well as created a vignette on Raleigh&apos;s museums in the Jan./Feb. issue. Paste Magazine highlighted Raleigh&apos;s dining scene, putting the spotlight on their five favorite places to eat. 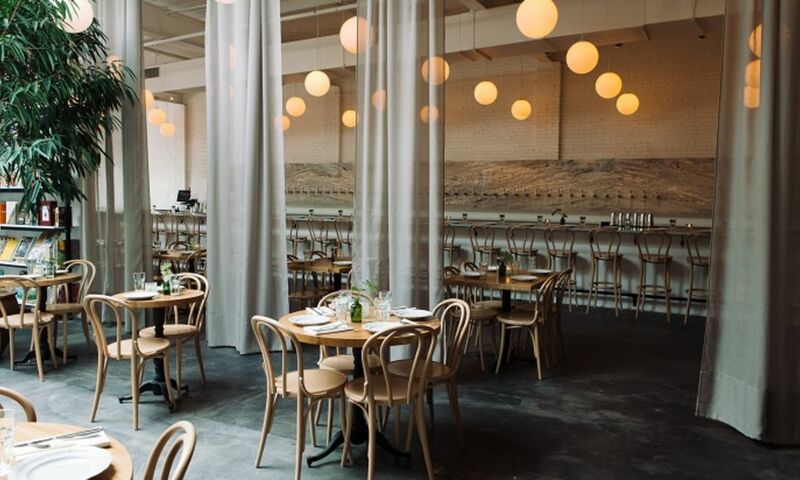 Zagat ranked Raleigh #19 on its list of the "26 Hottest Food Cities of 2016." AAA Carolinas Go Magazine featured Raleigh "makers" in the Nov. issue. Toronto Star highlighted the "7 Reasons to Love Raleigh, N.C."
The Daily Meal featured Niall Hanley&apos;s Guinness World Record-breaking Raleigh Beer Garden. 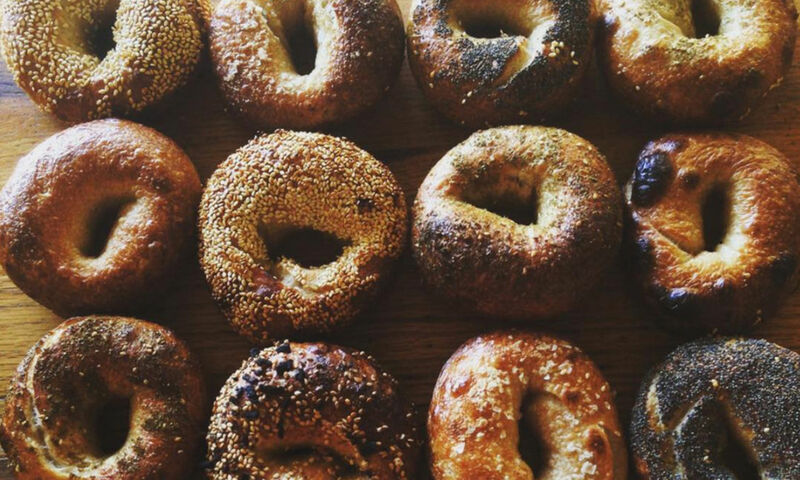 The Daily Meal covered La Farm Bakery in an article focusing on master baker Lionel Vatinet. Travel writer Joe Baur writes about "Raleigh: The City You Already Knew Was Cool" on his travel blog. 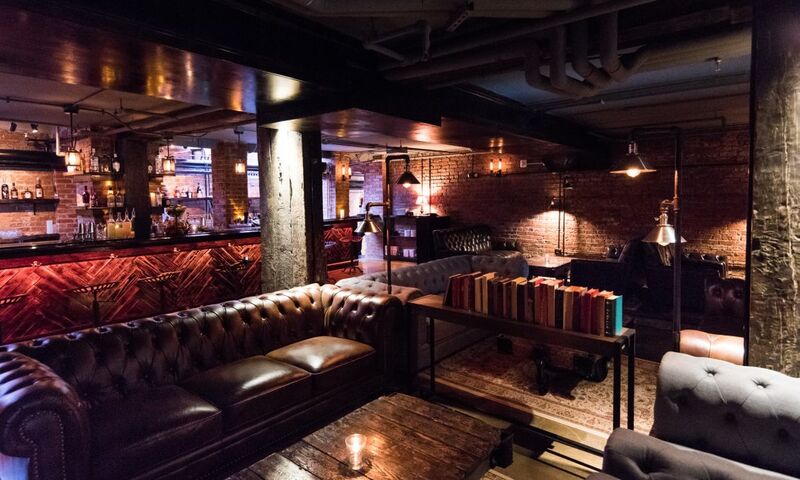 Babylon and Melrose Knitting Mill are covered in Hipstorical, a travel blog dedicated to uncovering how historic buildings have been repurposed into must-see travel spots. Vogue.com gave readers "An Insider&apos;s Guide to Raleigh in Time for the Hopscotch Music Festival." 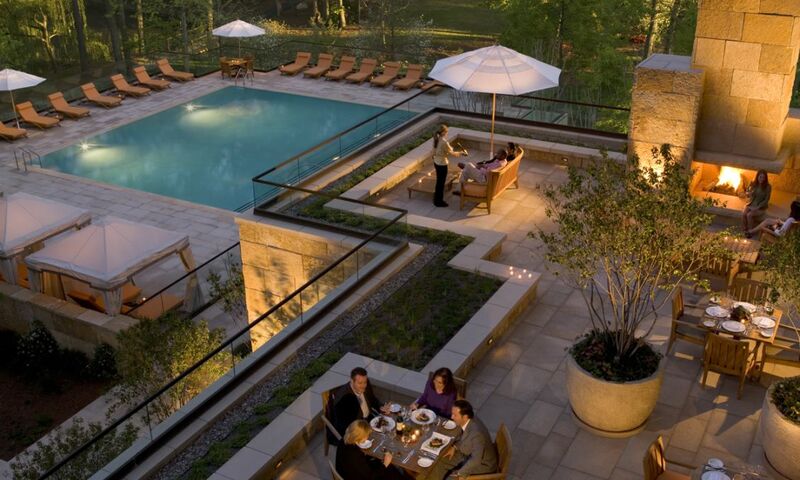 The Daily Meal covered The Umstead Hotel and Spa along with its signature restaurant, Herons. 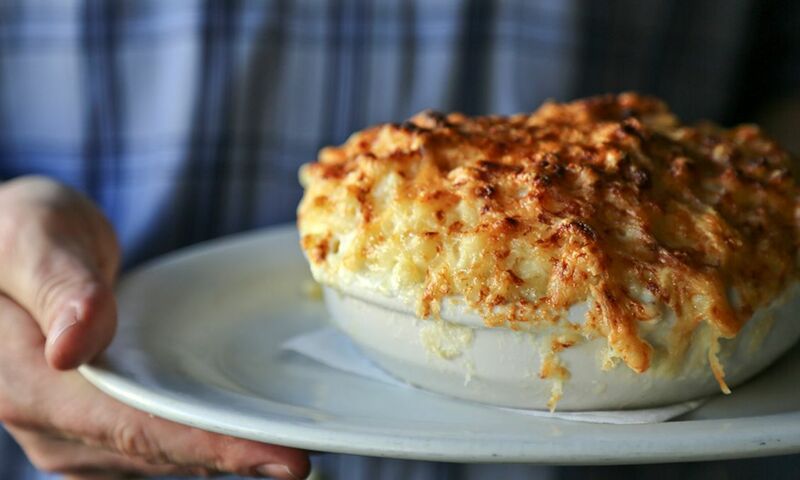 The Daily Meal highlighted the "5 Must-Try Eateries in North Carolina&apos;s Food Mecca." The Charlotte Observer covered "5 Reasons Why Raleigh is Perfect for a Family Day Trip" in a recent article. 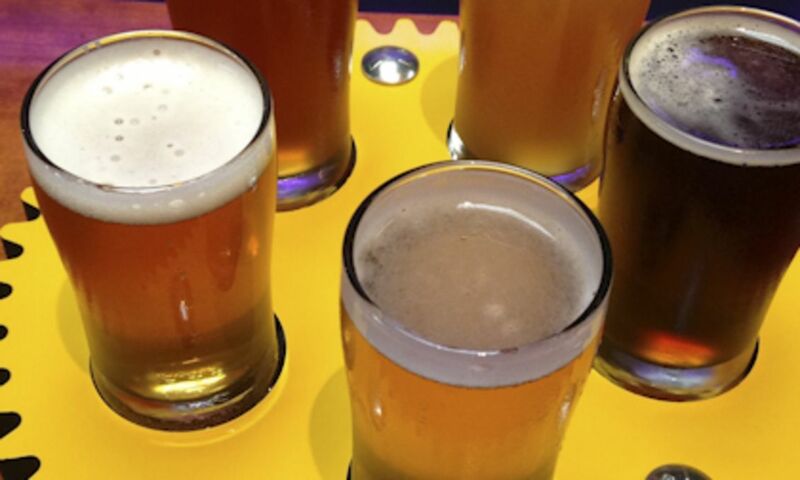 Read about Raleigh&apos;s craft brewing explosion in a recent WhereTraveler article. 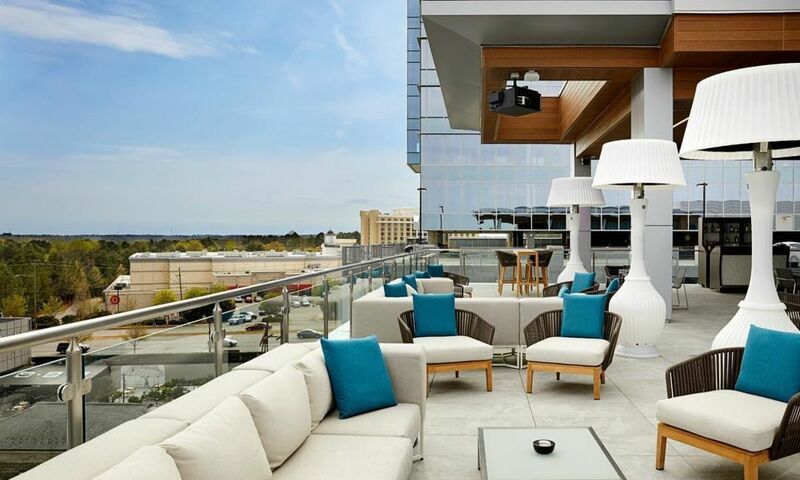 AAA Carolinas&apos; Go Magazine features the Solas Restaurant Lounge & Roof in the article "Over the Top" in the July/Aug. issue. Freelancer Jason Frye chronicled his favorite stops for Matador Network in the article "24 Hours in Raleigh." The Toronto Sun&apos;s travel editor wrote an article on the #wearenotthis movement in response to HB2. 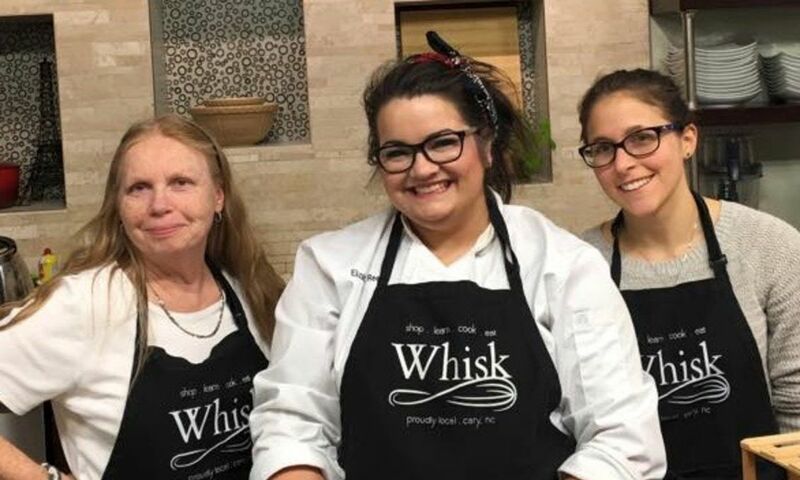 Raleigh is featured in the Meetings Today article "Culinary Coordinates" highlighting how meeting and convention destinations are utilizing their culinary assets. 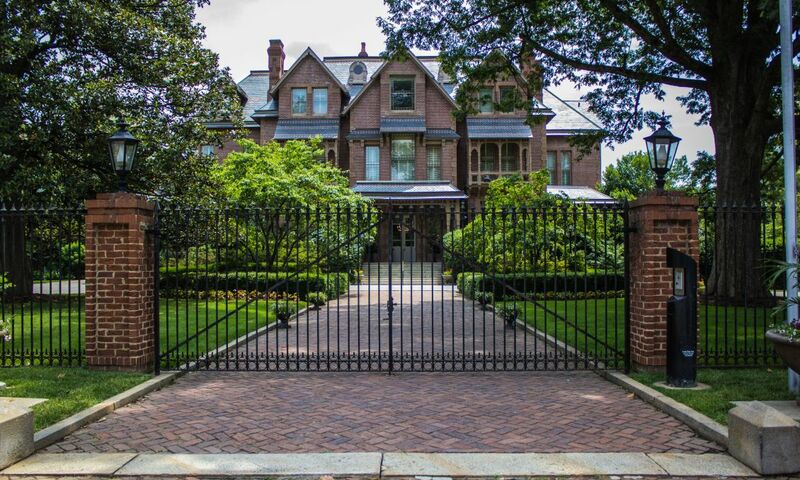 SouthPark Magazine, a Charlotte-based, monthly lifestyle publication for the affluent South Park area featured Raleigh as a "Great Escape." Raleigh was ranked the number nine destination on Travel and Leisure&apos;s 2016 "America&apos;s Favorite Cities" list. Bonappetit.com publishes "An Actually Useful Guide to Raleigh, North Carolina" featuring numerous Raleigh restaurants. Smart Meetings magazine features "North Carolina: A State of Contrasts" in its March issue. 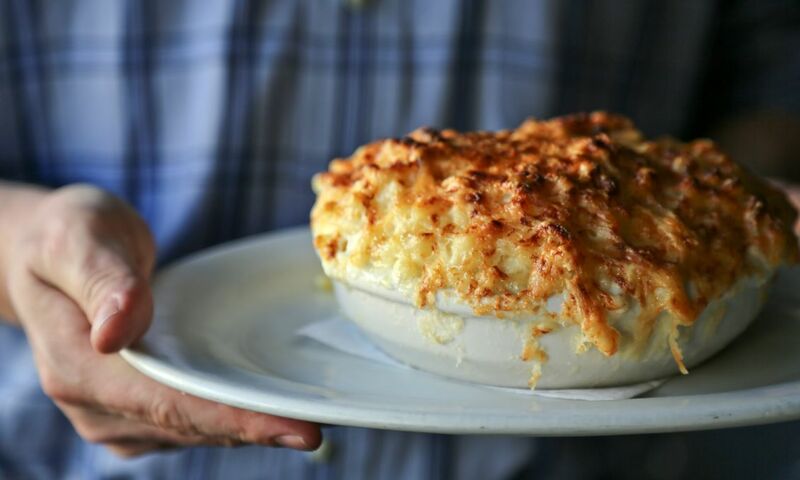 Part three of The Huffington Post culinary series by John Mariani features "Downhome Eats in Raleigh." Fox Liquor Bar&apos;s Pink Lady was included on a Styleblueprint.com piece on "5 Romantic Cocktail Recipes." Southern Living magazine&apos;s column, The Daily South covered the opening of The Mayton Inn. Paste Magazine featured numerous Raleigh cocktail bars including Foundation, Bida Manda and Death & Taxes in the article, "City in a Glass: Raleigh"
Journalist John Mariani experienced the area&apos;s culinary offerings for a three-part series for the food-focused website, VirtualGourmet.com and The Huffington Post. The PBS series "Original Fare" highlighted Videri Chocolate Factory and La Farm Bakery in a recent segment. Southern Living magazine named Standard Foods and the Raleigh Beer Garden as "50 Best Places in the South Now." 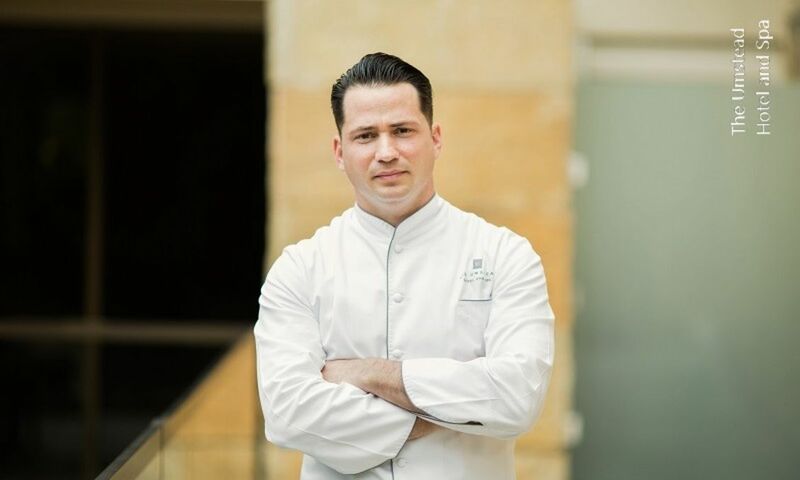 Examiner.com featured Standard Foods in a recent article highlighting chef Scott Crawford&apos;s commitment to using fresh and local ingredients. 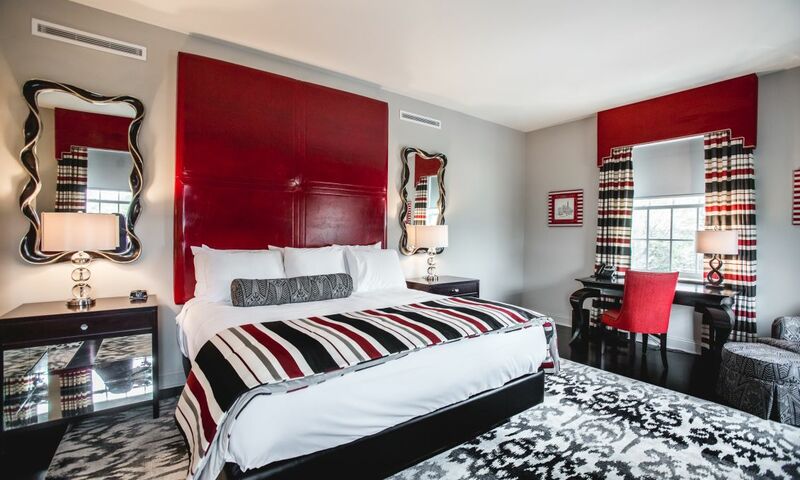 Just in time for Valentine&apos;s Day Where Traveler magazine highlighted "Romantic Getaways in Raleigh, Durham and Chapel Hill." Travelpulse.com gives its readers numerous suggestions on "What to do in the Cultural Hub of Raleigh." 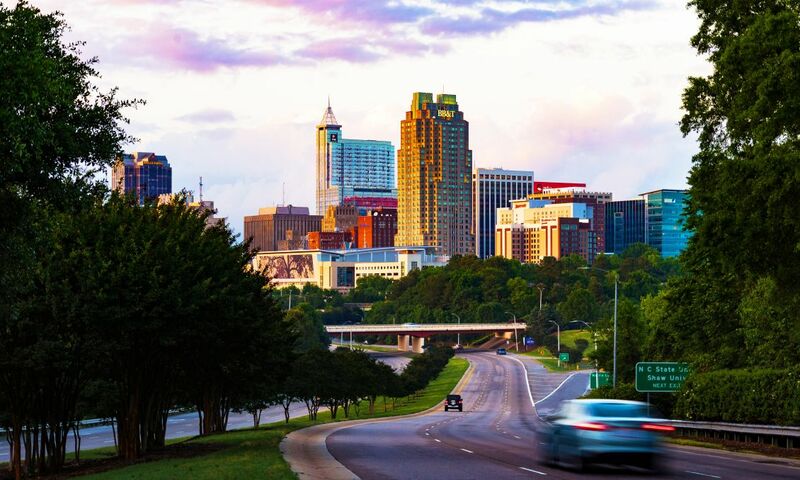 International Travel Examiner Kevin Wierzbicki recaps how he went "Rollin&apos; through Raleigh" on a recent trip to the area. Departures Magazine included Videri Chocolate Factory in its articled titled, "The Best Craft Chocolates You&apos;ve Never Heard Of." 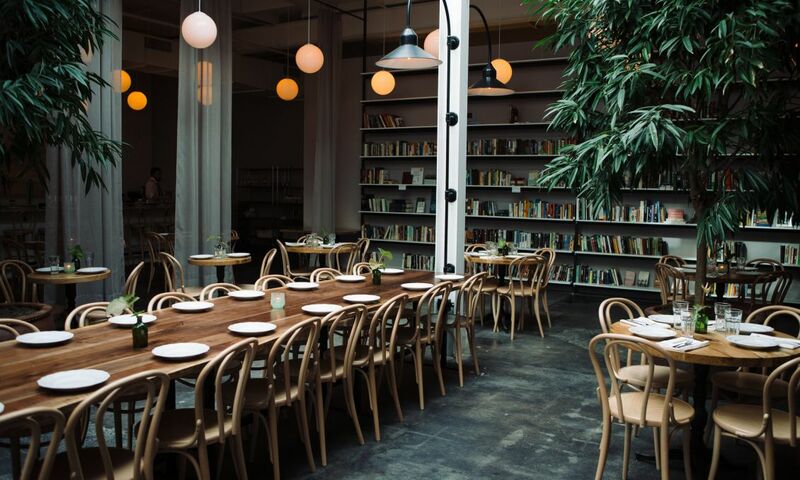 Tasting Table editor-at-Large Kat Kinsman named Ashley Christensen&apos;s Death & Taxes as one of her favorite meals of 2015. The Winston Salem Journal highlighted Raleigh&apos;s "Smart and Savvy Side" along with upcoming events. As a result of editor Holly Woolard&apos;s visit to Raleigh during International Bluegrass Music Association&apos;s World of Bluegrass, Smart Meetings featured Raleigh as its "Site Inspection" report (see pages 50-51). 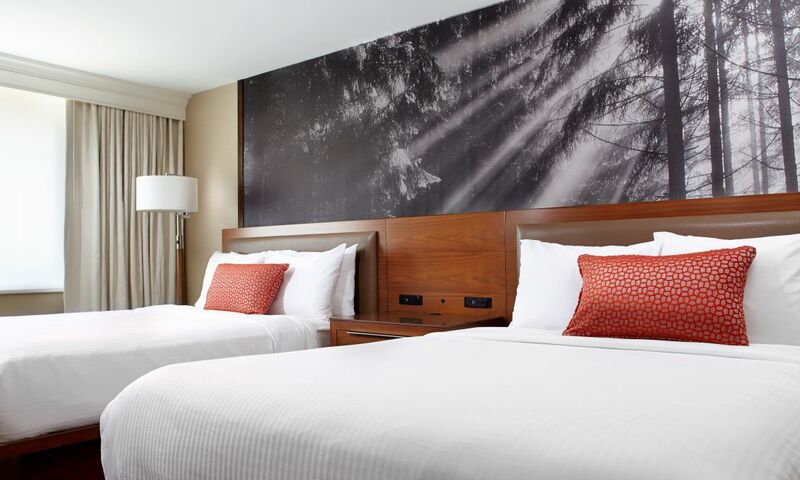 Travel Weekly highlights Raleigh and Durham&apos;s hotel growth spurt. Journalist Kimberly Kinnecom visited the area as part of a group media tour and included La Farm Bakery as a feature piece in Intermezzo magazine. "Raleigh, N.C. is Friendly and Free" was the title of a travel feature in the Leader Telegram. Raleigh was the City Portrait feature in the Dec. issue of Our State Magazine. 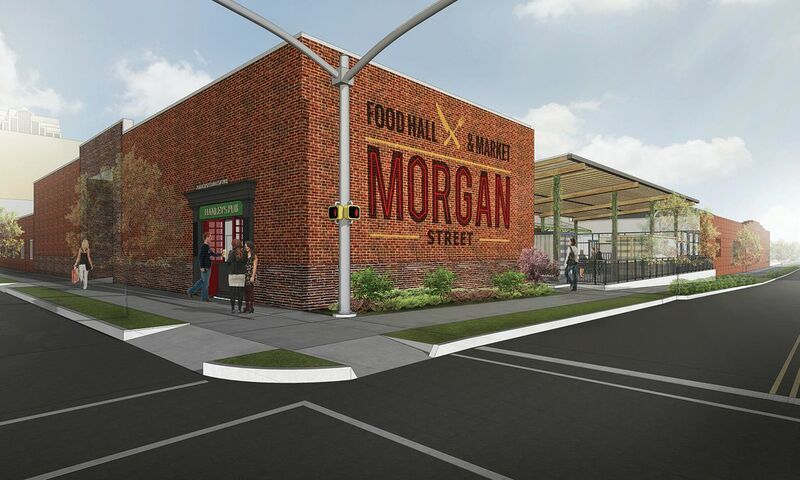 Garden and Gun highlights "Four New Southern Beer Halls" and features the Raleigh Beer Garden. Roadtripsforfamilies.com asks (and answers) the question, "Vacation in Raleigh? Yes, Raleigh!" in a recent travel blog. The Charlotte Observer featured Raleigh and 10 of the area&apos;s hospitality partners in a recent travel feature. 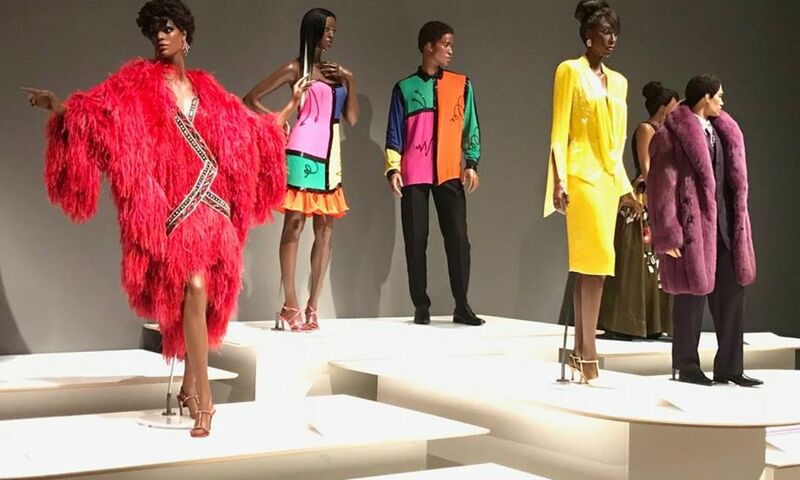 The Charlotte Observer goes "Scouting for designers and boutiques in the capital city." Our State Magazine highlights Raleigh restaurants in its Nov. culinary-themed issue. 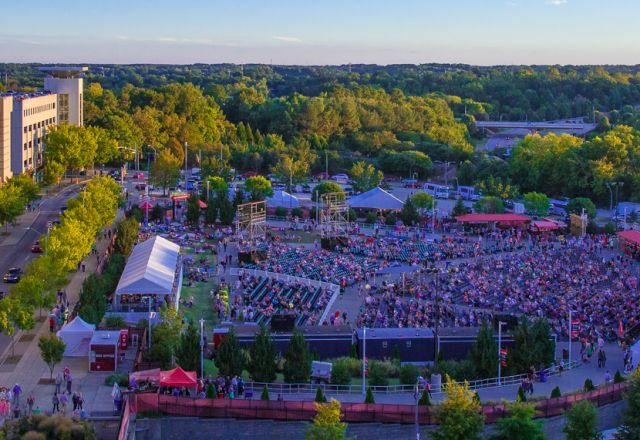 Atlanta&apos;s NPR station WABE featured Southbound magazine&apos;s executive editor talking about his favorite Raleigh places in conjunction with the magazine&apos;s recent "Raleigh 101" story. Epicurean Charlotte chose to "Relish Good Times in the Capital City" for its November/December issue. 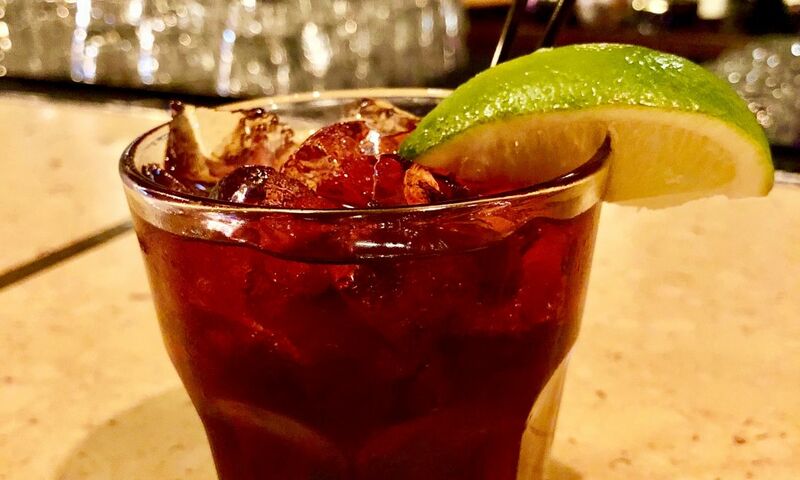 The Queens Chronicle mentions Raleigh in a "Carolina Calling" travel article. Opentable.com celebrates the "Global Noodles for a Delicious World Pasta Day" and includes Bida Manda&apos;s Pad Thai. 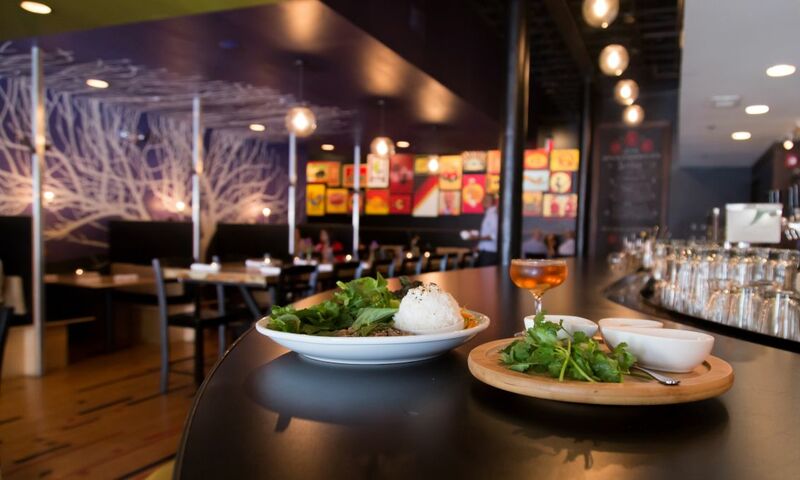 Two of Raleigh&apos;s newest restaurants were featured in the Travel + Leisure article, "Raleigh&apos;s Restaurant Revival." 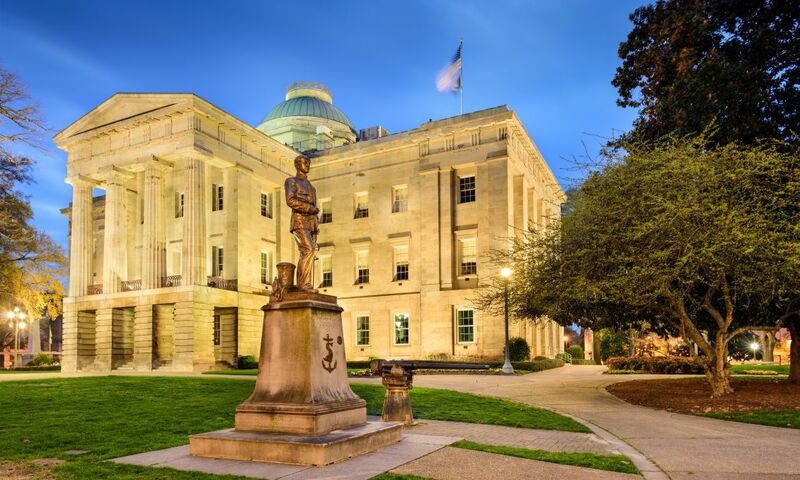 The Atlanta Journal Constitution highlighted many of North Carolina&apos;s top tourism attractions in a recent article titled, "Tar Heel State&apos;s Picture Perfect Offerings." 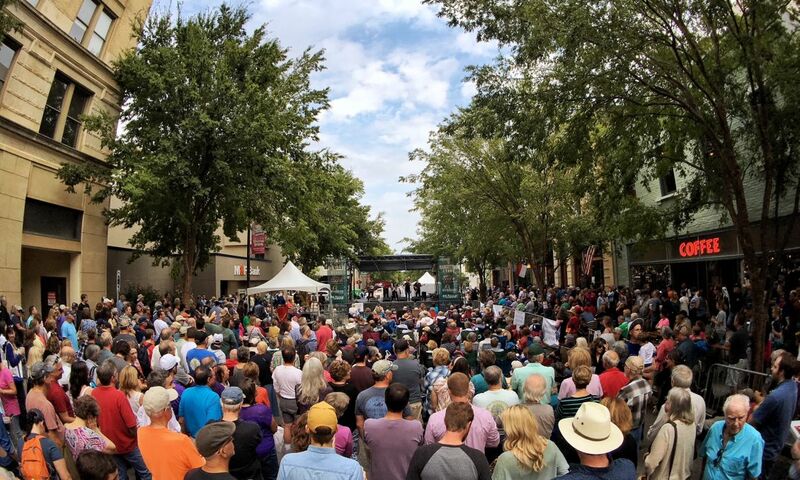 Smart Meetings magazine is "Singing the Praises of VisitRaleigh" for its role in making the Wide Open Bluegrass event a success despite the weather causing the outdoor event to move into the Raleigh Convention Center. AXS.com, an online music, travel and festival site, covered Wide Open Bluegrass in multiple articles. You can read them all here and the first article which is an overview of the weekend festival is called &apos;Twang Time! Raleigh, N.C.&apos;s Wide Open Bluegrass Festival is a crowd pleaser." Wide Open Bluegrass was featured in Delta Sky magazine&apos;s "Citylicious" roundup of events. 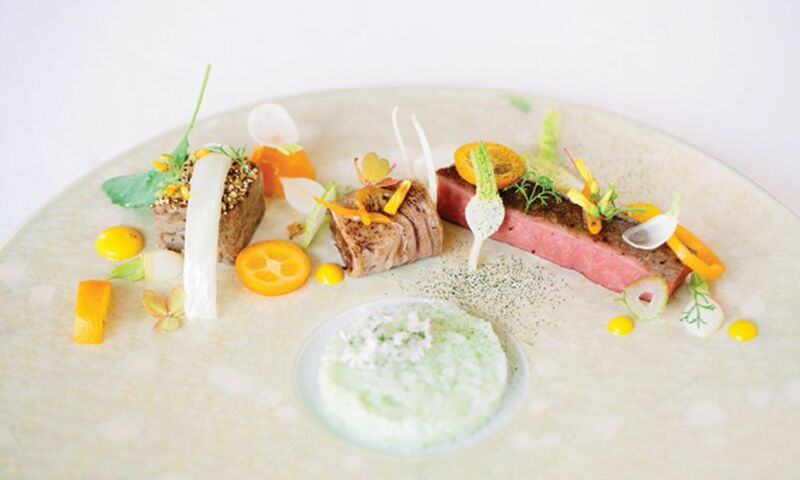 The Umstead Hotel and Spa was featured in a Local Palate article highlighting the food and signature hotels of the Triangle. 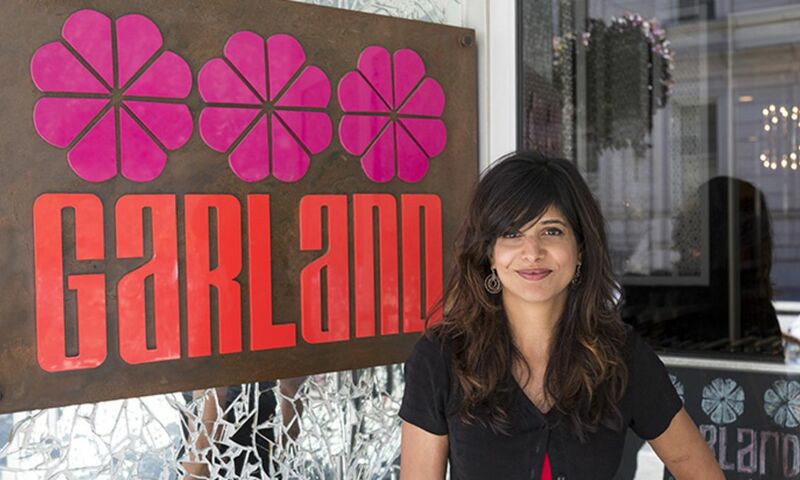 Standard Foods, Raleigh&apos;s newest dining destination, and Chef Scott Crawford were highlighted in a feature story in the Local Palate. Epicurean Charlotte invites foodies to &apos;Relish the Good Times in the Capital City&apos; in its Nov./Dec. issue. North Carolina&apos;s outdoor offerings perfect for groups was the subject of a feature article in the latest Meetings Focus magazine. 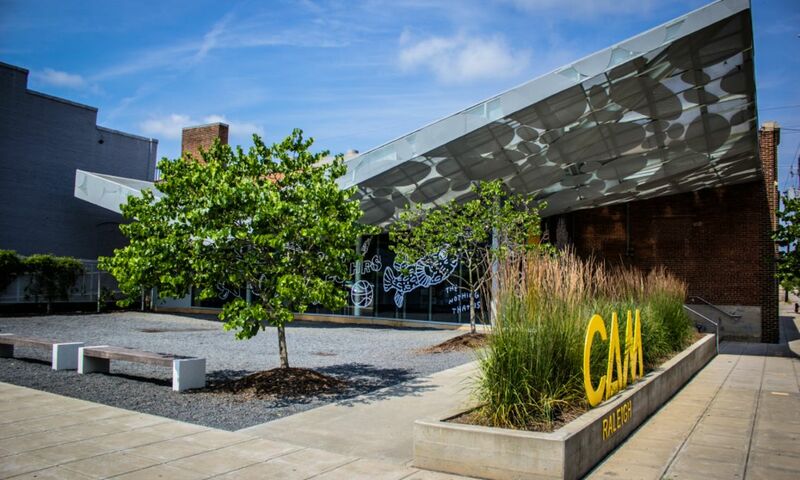 CAM Raleigh&apos;s newest exhibition by Sarah Cain was the subject of a recent Conde Nast Traveler article. The Raleigh Beer Garden and its Oktoberfest celebrations were featured in Travel + Leisure. One of the leading LGBT lifestyle publications, Passport Magazine, included Raleigh in the World Eatscolumn of the October issue. Southbound magazine featured Raleigh in an article titled &apos;Raleigh 101&apos; highlighting many of the downtown Raleigh entertainment districts along with Cary in this eight page article. The Atlanta Journal Constitution highlighted Raleigh restaurants as part of a North Carolina culinary story. 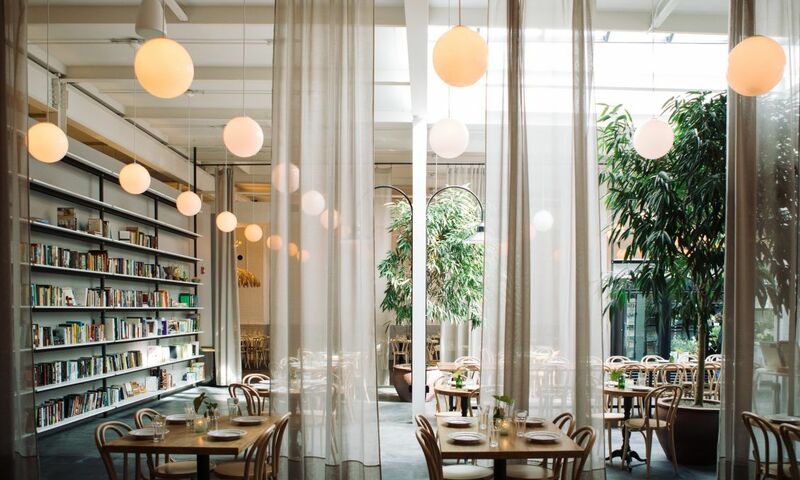 Ashley Christensen&apos;s Death + Taxes was featured in a blog post for Architectural Digest. Raleigh was the featured destination in the August issue of Delta Sky magazine&apos;s &apos;Wheels Up:Trending&apos; section. 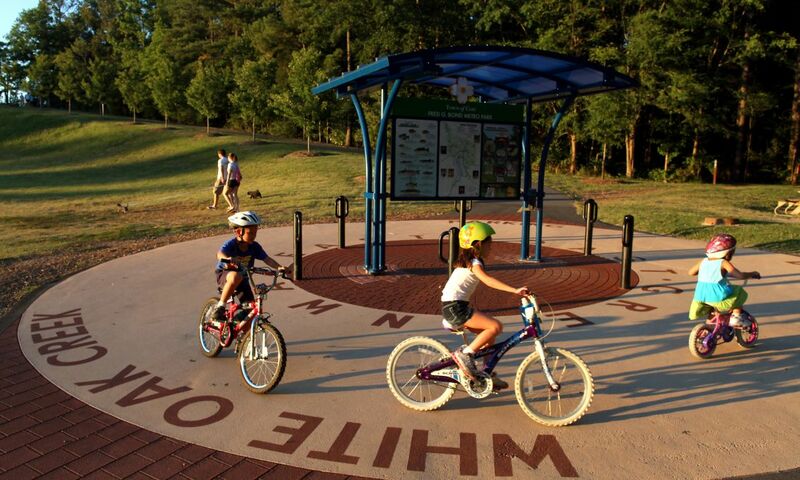 Havebabywilltravel.com featured Raleigh as a great family destination in a recent article. 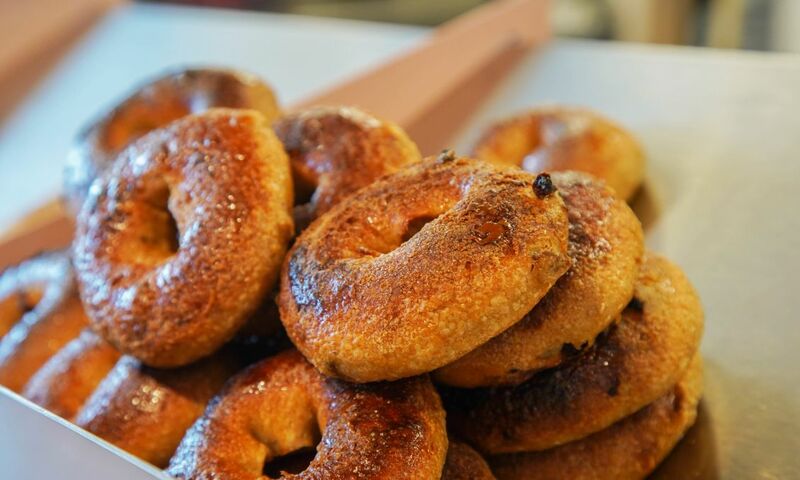 Cary&apos;s La Farm Bakery is featured in a recent Huffington Post blog post. Bureau Executive Vice President Loren Gold discusses June Tourism Numbers with the Triangle Business Journal. 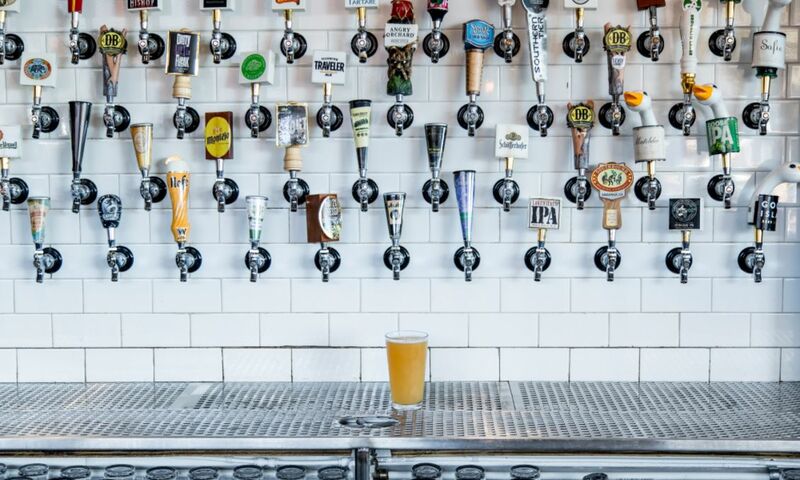 Condé Nast Traveler covers the opening of the Raleigh Beer Garden. 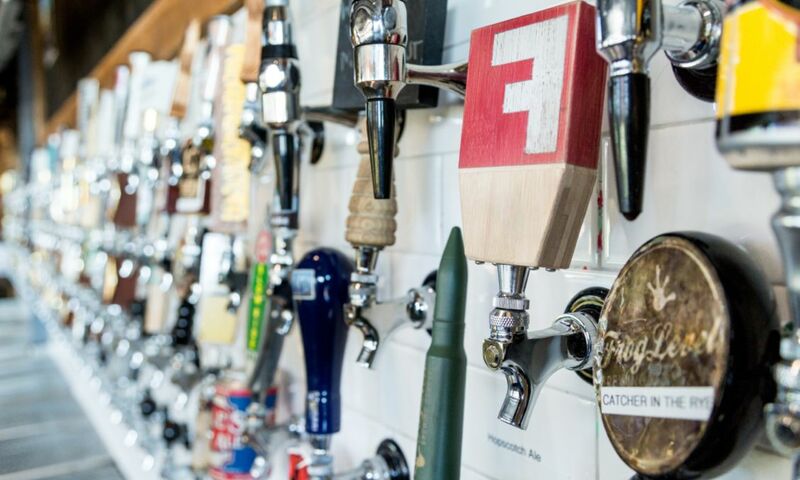 Paste Magazine highlights Raleigh Beer Garden&apos;s World Record number of taps. Raleigh&apos;s creative side was the topic of a feature piece in New York Magazine&apos;s Weekend Escapes section. 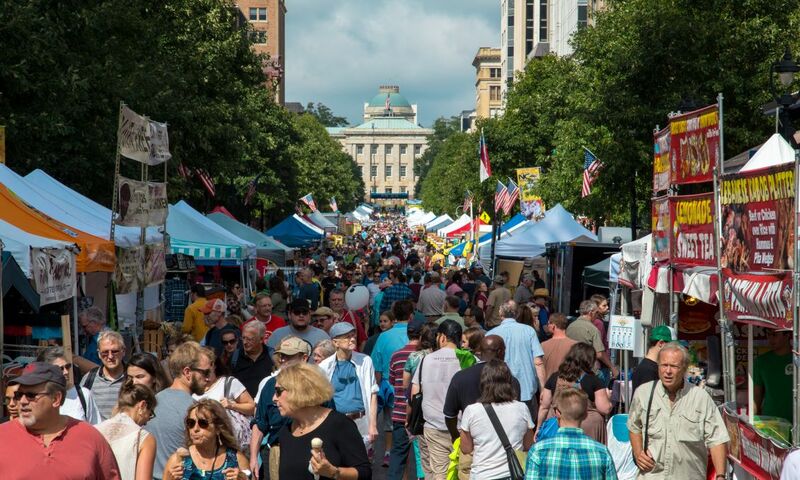 Prevue magazine highlighted the Greater Raleigh CVB&apos;s partnership with the "People First Tourism" program. Raleigh was the featured city in the July issue of Simply Buckhead magazine. 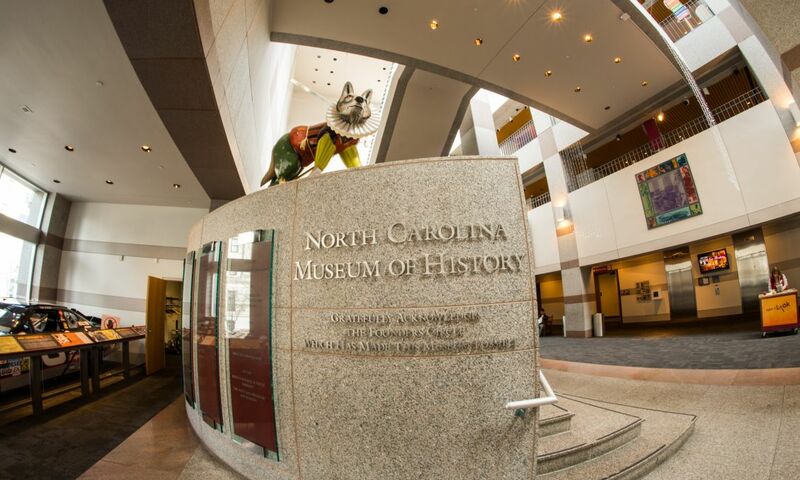 USA TODAY featured Raleigh and the N.C. Museum of Art in the recent "Best One-Tank Road Trips for Summer" article. 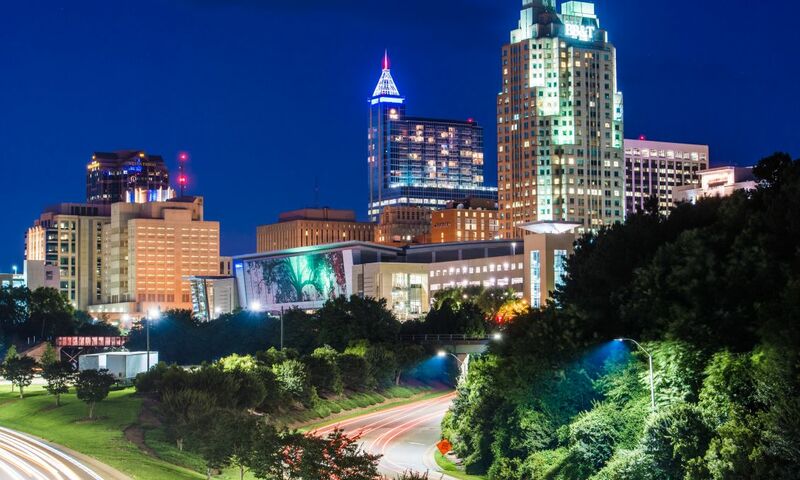 Rejuvenate magazine featured Raleigh in its City Spotlight feature for July. HotelBusiness.com highlighted the area&apos;s robust hotel market in a recent article. 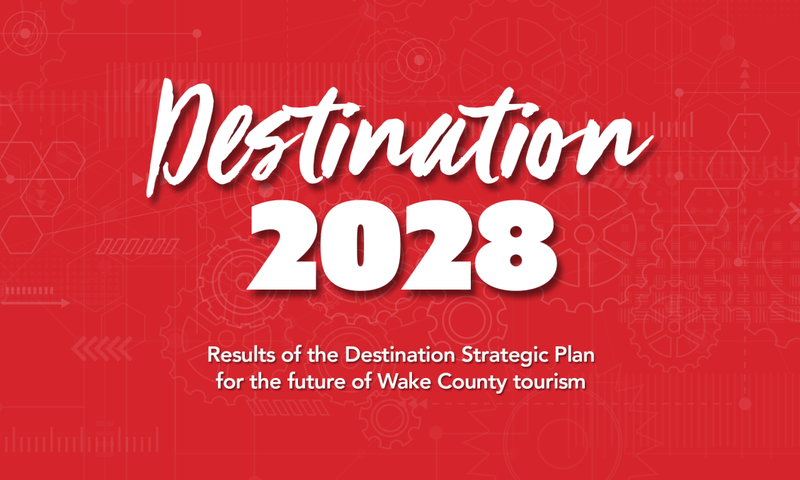 Record tourism numbers for Wake County were featured in a Triangle Business Journal story. Virgin Atlantic Airway&apos;s featured "Blues and Bluegrass" in a recent blog post on the airline&apos;s homepage. The City of Oaks was the travel destination feature in this month&apos;s Oklahoma magazine. 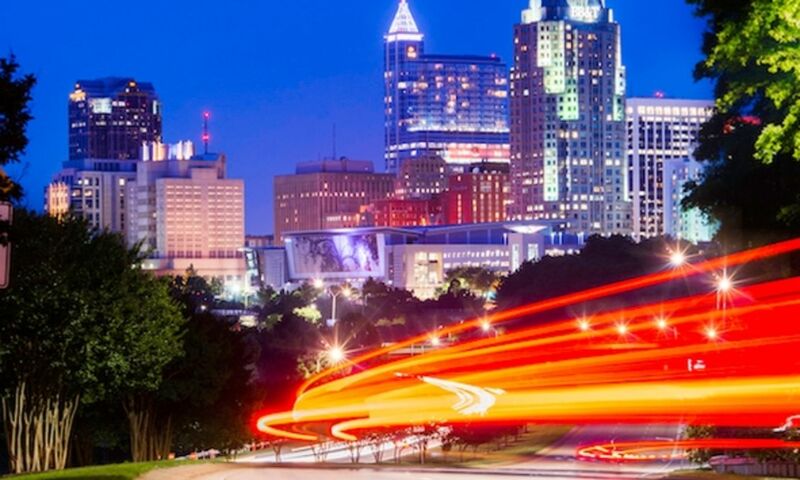 Huffington Post featured Raleigh in a series of travel stories highlighting the drive from Canada to Florida. 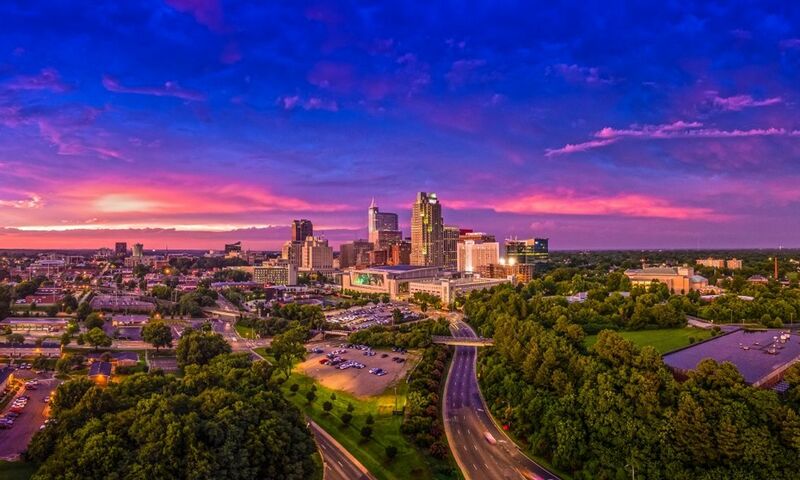 The Raleigh area was featured in the Association News story, "North Carolina - A Driving Force for Meetings." 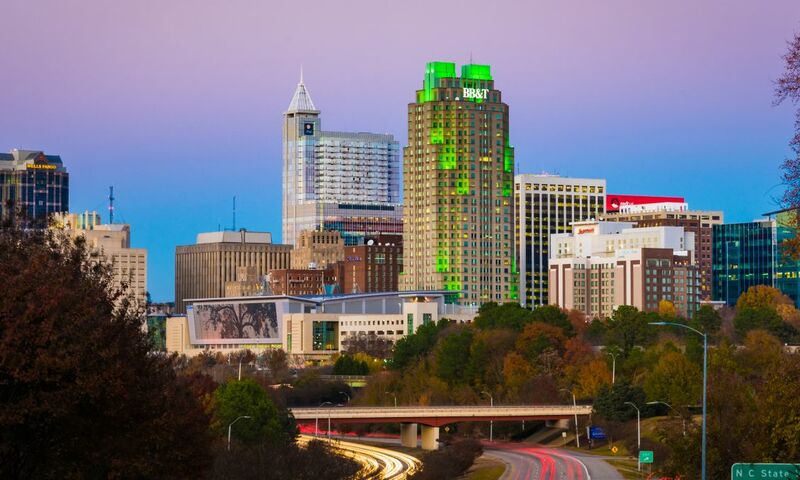 Prevue magazine showcases how the Greater Raleigh CVB Delivers Value. Garden & Gun featured Raleigh in its "Due South" City Portrait in the Feb./Mar. issue. Conde Nast Traveler.com highlights the "Top 10 Things to Do in Downtown Raleigh." Vagabondish.com features "(At Least) 7 Great Reasons to Visit Raleigh, North Carolina." 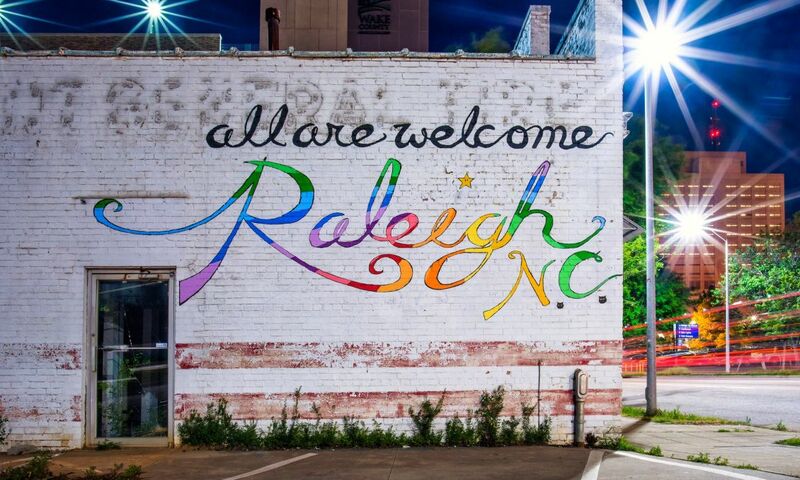 Women&apos;s Health names Raleigh as one of the "5 Best Up-and-Coming Cities for Arts and Culture." 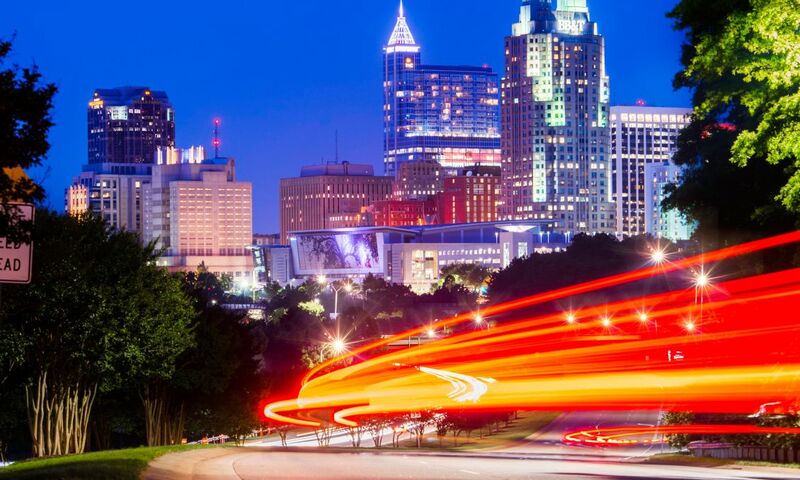 Group Travel Leader highlights why Greater Raleigh is a "Smart Choice" for group travel. 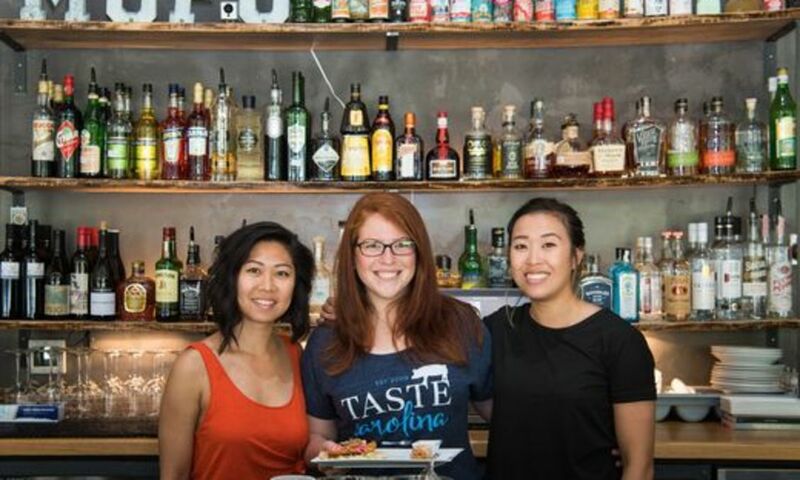 News & Observer shows how "Tourists Get a Taste of the Triangle" in an article highlighting marketing efforts and programs; many of which are part of the Bureau&apos;s marketing strategy. The Sentinal-Record&apos;s Hot Springs on the GO! magazine featured the Raleigh area in its Sept./Oct. issue. 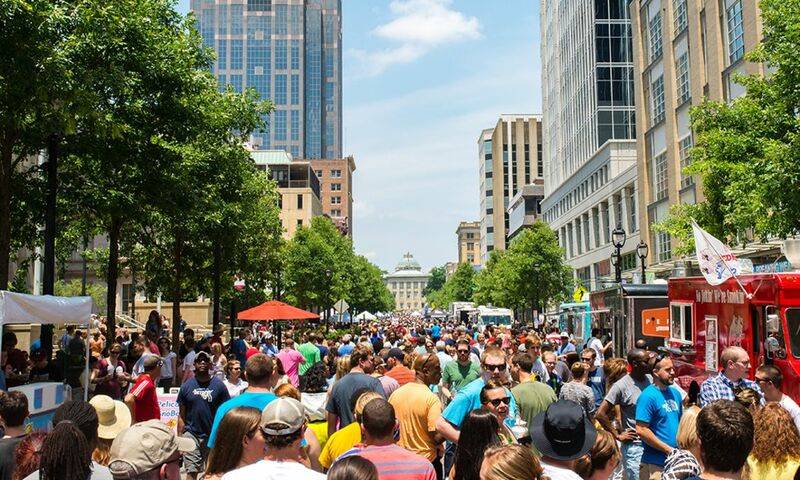 "Raleigh&apos;s Got Festival Fever" in a new article published by the Triangle Business Journal. 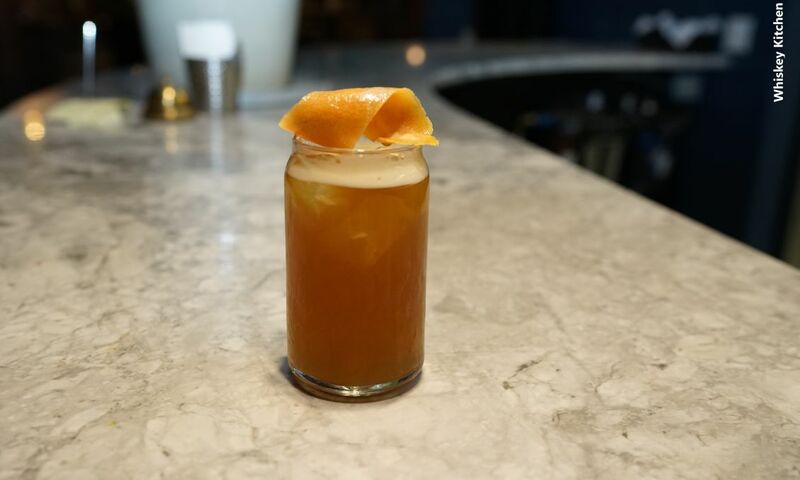 Washington Post travel editor Andrea Sachs talks about her recent trip to Raleigh in The Week. Instinct magazine, a leading GLBT publication, featured Raleigh in the article "Goin&apos; to Carolina." 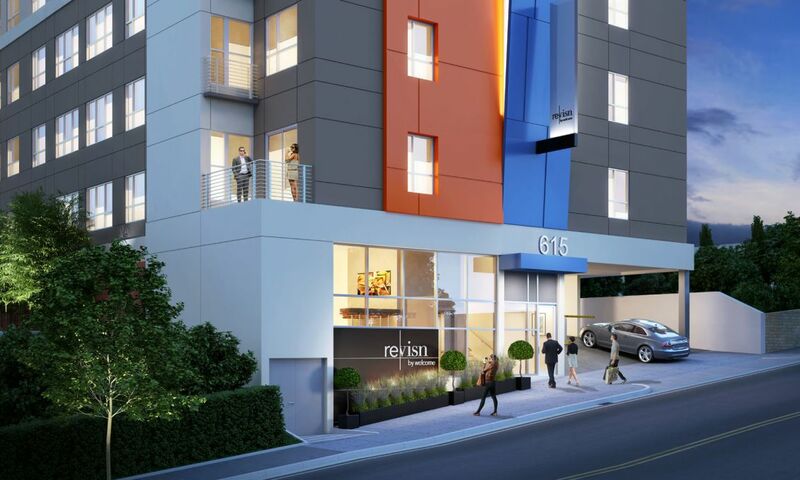 Livability published an article about the "Six Reasons to Move to the Raleigh, N.C. Area." 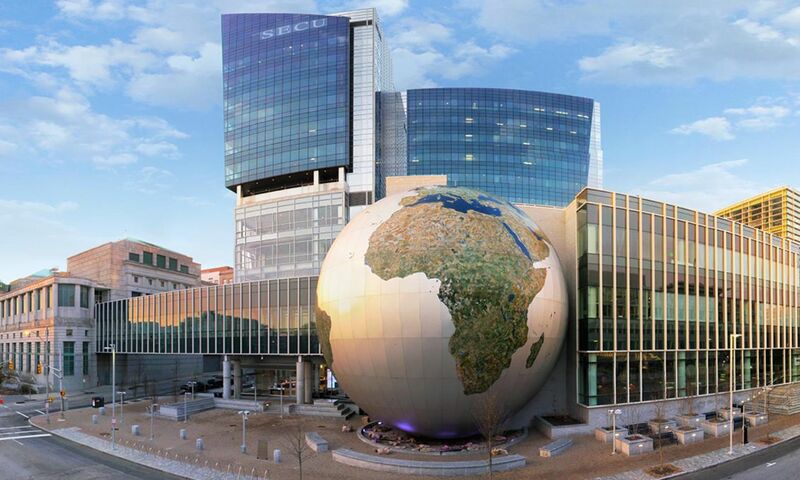 Segment on Today Show mentions Raleigh and the Museum of Natural Sceinces. 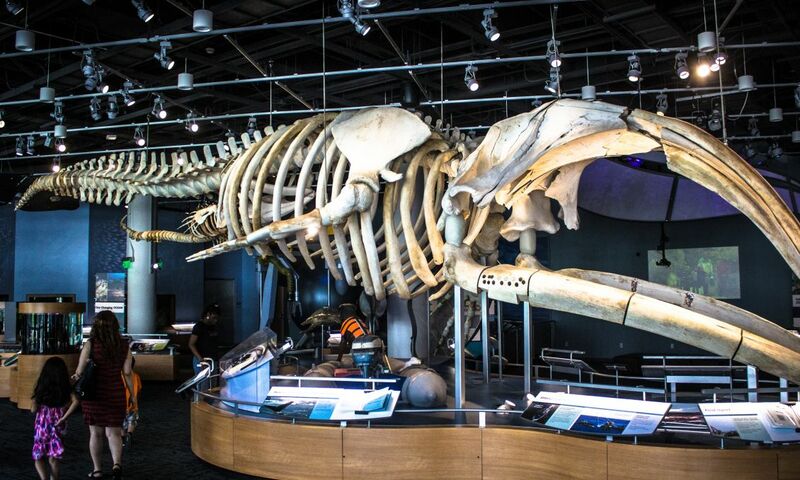 "Fun, family-friendly attractions that won&apos;t cost a dime." AAA World is &apos;Serving It Up, Southern Style&apos; in a feature about North Carolina culinary traditions. 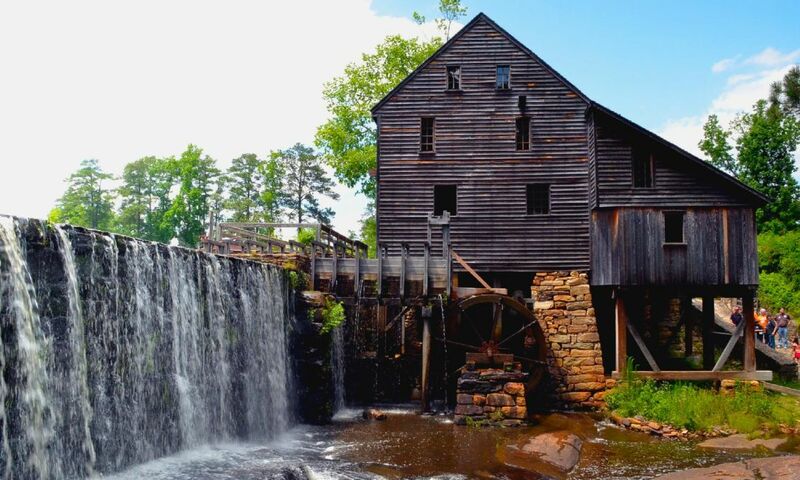 Raleigh was featured in Rocky Mount Telegram&apos;s travel article, "One-Tank Trips." 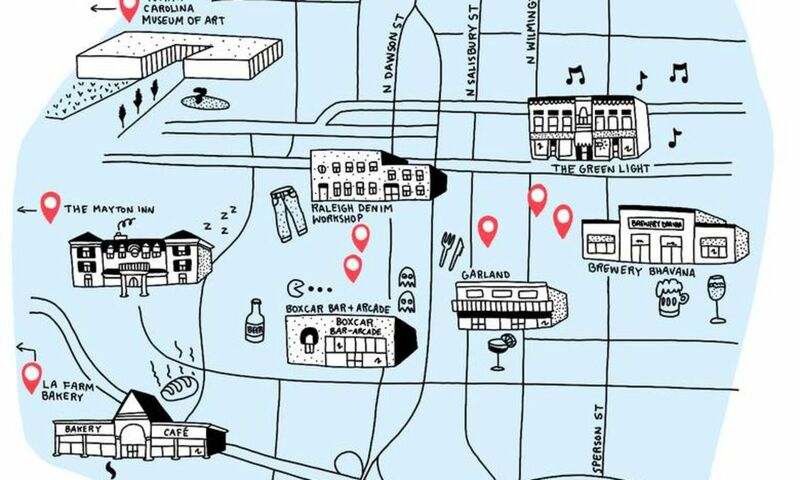 USA TODAY highlighted Raleigh&apos;s Warehouse District as one of the "10 Best City Art Districts Around the Country." USA TODAY featured the North Person Street Business District as one of "10 Up-and-Coming Neighborhoods." Men&apos;s Health editor Andrew Daniels visited the area and wrote about his experiences in his article, "How to Throw a Bachelor Party You&apos;ll Never Forget." Our State magazine called Raleigh one of the state&apos;s must-visit String Town&apos;s in an article focusing on bluegrass and traditional music. 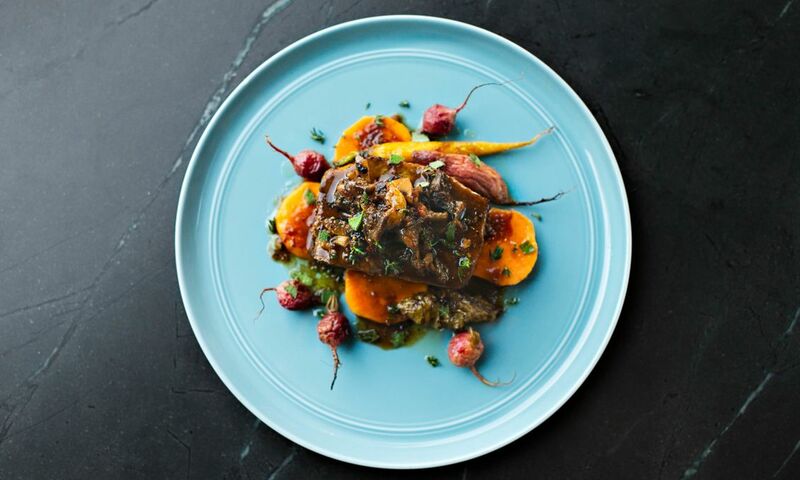 AFAR magazine features the Triangle in the article, "EAT U.S.A.: AFAR&apos;s Guide to the Regional Flavors, Local Classics + Innovative Restaurants that Define American Food Now." 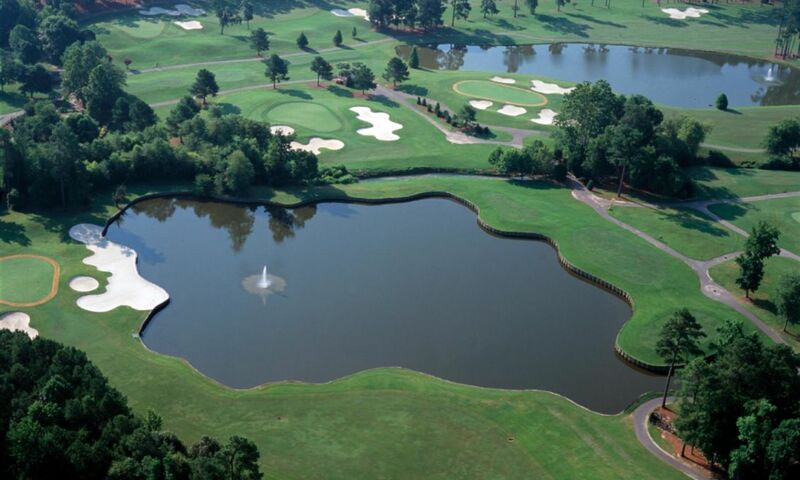 Where to Retire magazine highlighted Raleigh in its story, "8 Cities for Golf (and much more)." The Charlotte Observer published its annual Summer Road Trips section where the Raleigh area was featured for the Piedmont. Greater Raleigh was the City Profile feature in Small Market Meetings. Virgin Atlantic Airlines featured Raleigh&apos;s Best BBQ Restaurants in a recent article on their blog. 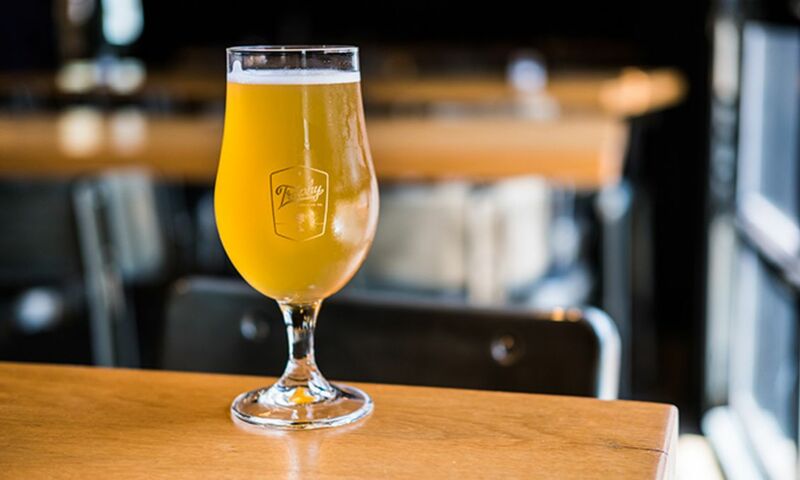 The New York Times continued to show love to North Carolina by including the second annual North Carolina Beer Month in its In Transit travel section. The Richmond Times-Dispatch wrote a travel story on Raleigh in advance of the University of Virginia men&apos;s basketball team arriving in town for the second round of the NCAA tournament. "More than merely one of the Triangle&apos;s three vertexes, Raleigh is now defining itself as a destination worth exploring on its own merits, regardless of what lies beyond the city limits." 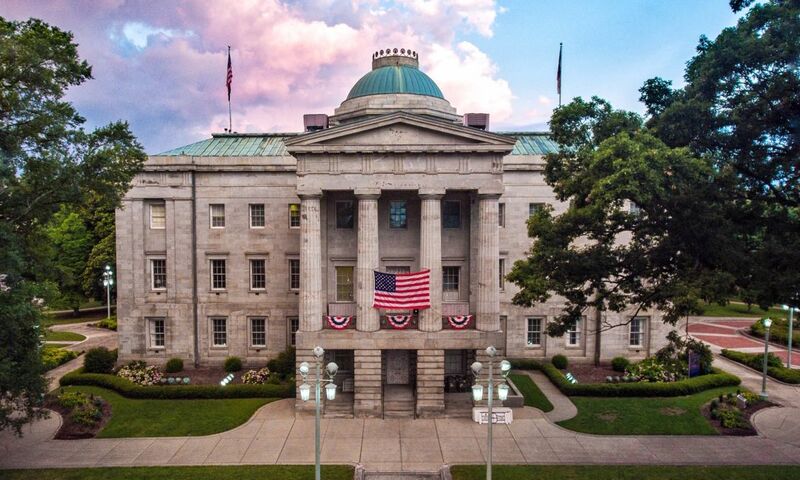 Writer Ingrid Williams showed to the world that North Carolina&apos;s capital city is lively, smart and unexpected destination in her recent article, "36 Hours in Raleigh, N.C." which was published in The New York Times. 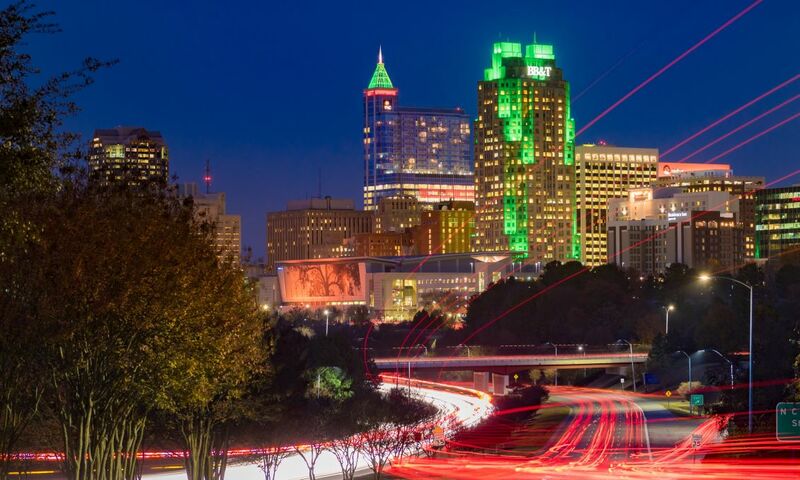 Travelista Andrea Adams highlighted Raleigh in the Huffington Post in her article, "Raleigh, N.C. Style, Art, Food Made Locally." The Charlotte Post calls Greater Raleigh, "The Capital of Good Times" in a recent travel article. 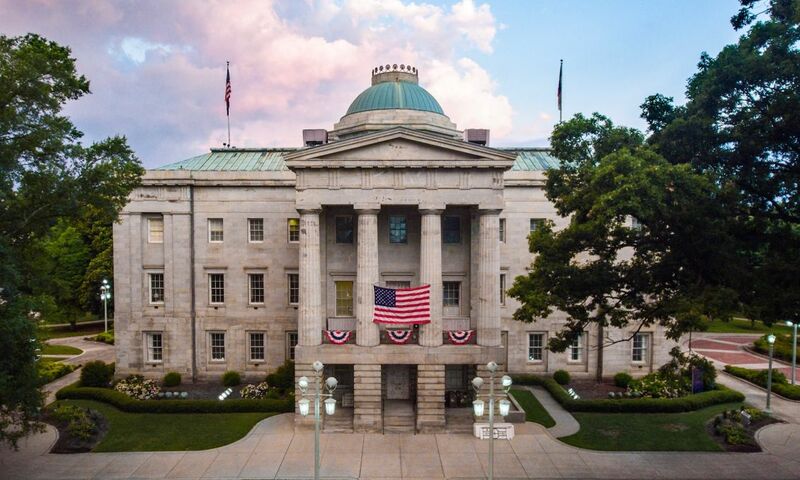 Check out the "Beginners Guide to Raleigh" which was featured on the Virgin Atlantic Airways blog. Connect magazine featured the Raleigh area&apos;s dynamic meetings scene in the Nov./Dec. issue, which highlighted several local partners. Freelance journalist Janie Robinson did a media tour during International Bluegrass Music Association&apos;s (IBMA&apos;s) World of Bluegrass events in Sept. Her article, Mountain Music, Moonshine of N.C., was published in the Toronto Sun and featured several local partners. The Charlotte Observer highlighted Greater Raleigh and a variety of partners in its Weekend Roadtripsarticle. Candy Harrington, editor of Emerging Horizons magazine, wrote a piece on travelers who have disabilities visiting Greater Raleigh. She also wrote a piece for the magazine about Northshore Lake House. At Home Memphis & Mid South included Raleigh in a feature article highlighting out-of-the-box Southern cities. 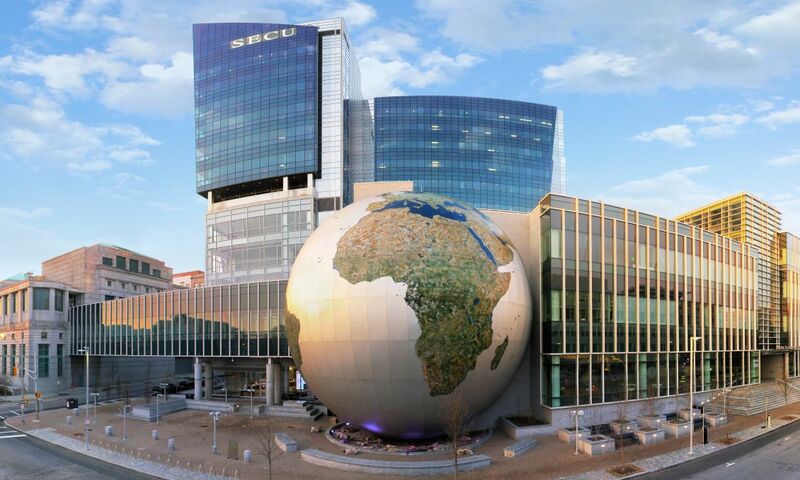 Business North Carolina interviewed GRCVB President and CEO Denny Edwards on why Greater Raleigh is a sought-after destination for hosting meetings and events, and also about the facilities like Raleigh Convention Center that help attract major meetings, conventions and events. 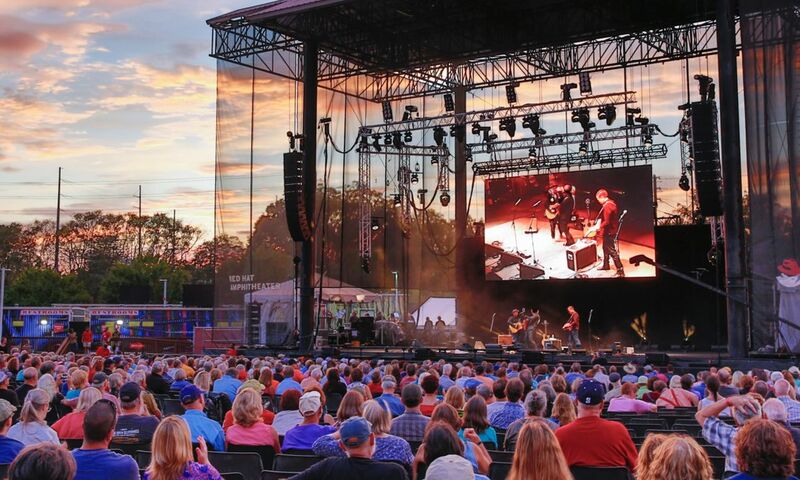 Meetings Focus South featured Greater Raleigh in a Triangle-focused article on the area&apos;s music, food, brewery and distillery scenes. The featured mentioned numerous hospitality partners. In a feature article, Southern Living presented The High-Low Guide: Raleigh and Durham and highlighted The Umstead Hotel and Spa, Oakwood Inn Bed & Breakfast, Poole&apos;s Diner, C. Grace, Lumina Clothing Co., Taste Carolina Gourmet Food Tours, Second Empire Restaurant & Tavern and Videri Chocolate Factory. 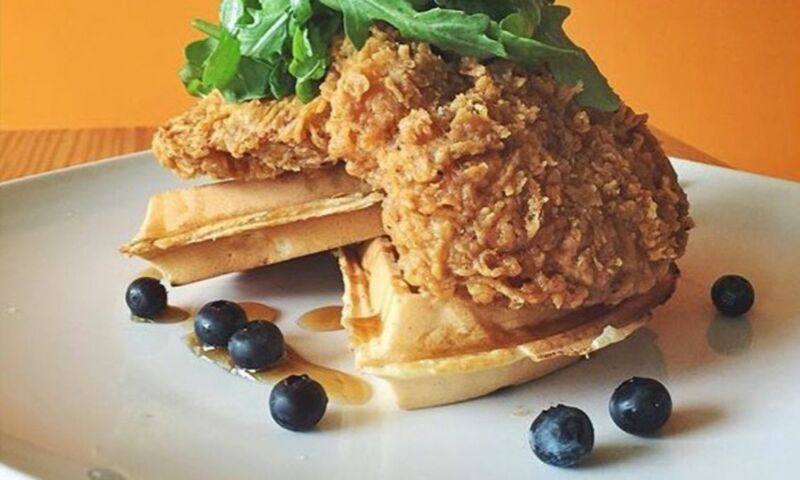 Southern Living featured local entrepreneur Jenny Bonchak and her Slingshot Coffee Co.
Southern Living showed the Raleigh area some love with call-outs to Beasley&apos;s Chicken + Honey and Soo Café in its "The South&apos;s Best Fried Chicken" article. 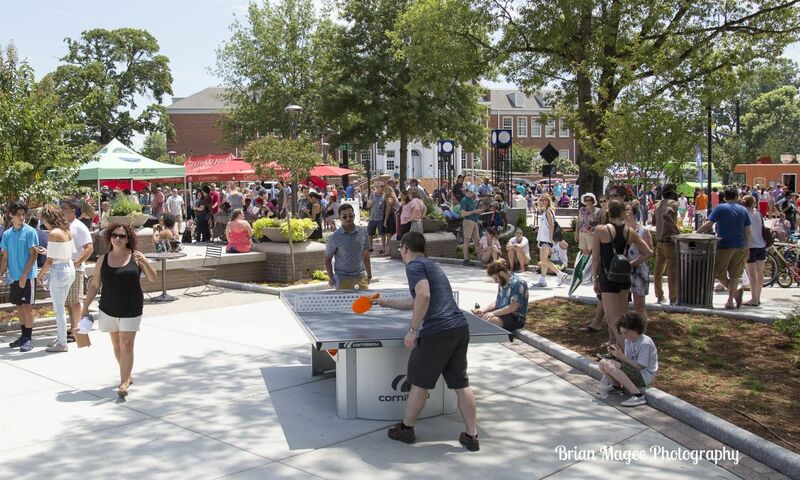 Small Market Meetings featured the area in an article titled "Eat, play, groove in downtown Raleigh." OffMetropolis featured the area in the article "Five Places to (Retr)eat in Raleigh, N.C."
TrailBlazer magazine included the State Farmers Market, Raleigh, in an article "TrailBlazer Road Trip 2013: A Taste of the Top Farmers&apos; Markets." 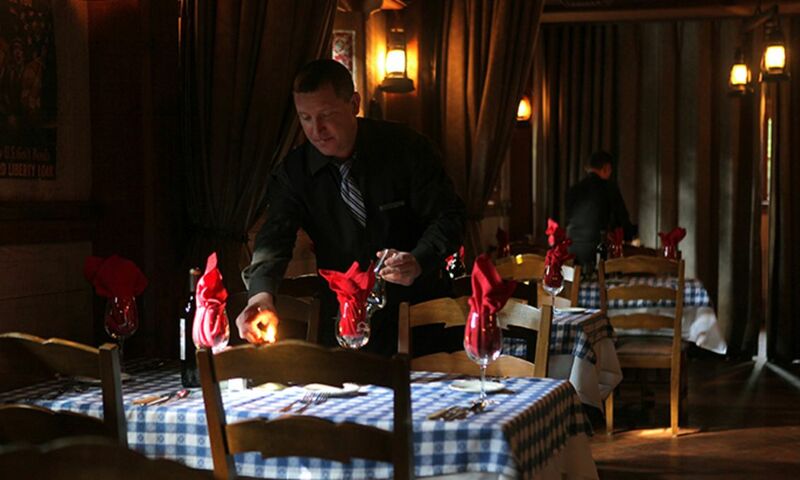 Mark Vanek, a travel correspondent with The Charlotte Observer, shared several spots in N.C. where you can take mom for Mother&apos;s Day on FOX8 Morning News, a Greensboro/High Point/Winston-Salem station. 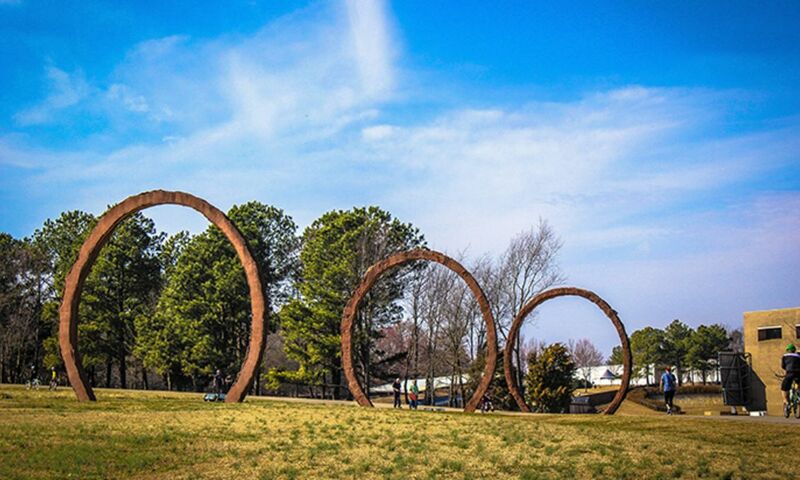 The North Carolina Museum of Art was the featured attraction for the Greater Raleigh area and coverage starts at the two-minute mark. 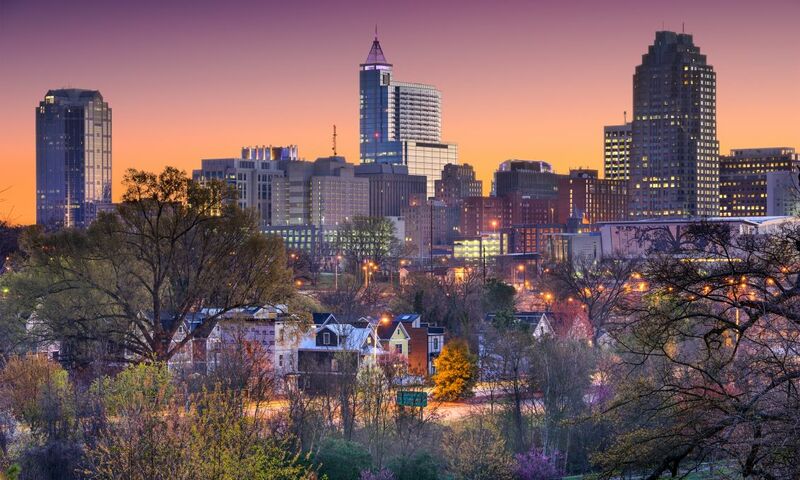 The Group Travel Leader featured Raleigh in the article "Hip Downtowns in the Carolinas." The Charlotte Observer included the Raleigh area in a story titled, Weekend Road Trips. 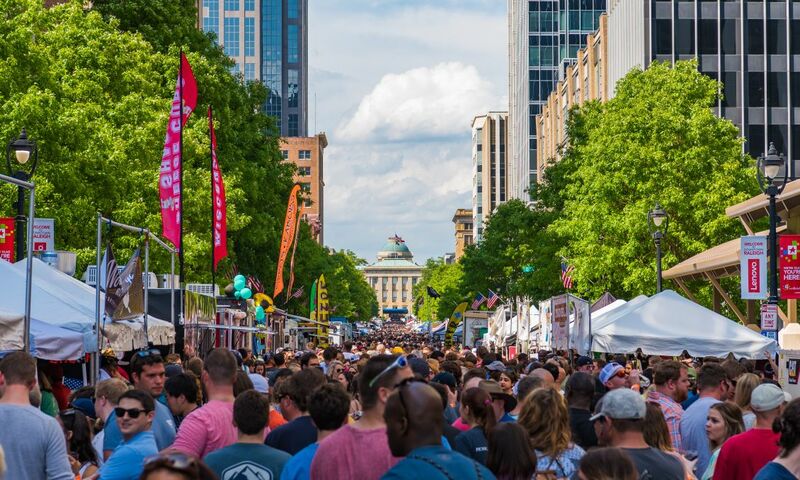 Southern Living&apos;s Daily South online column featured the annual Brewgaloo festival held in downtown Raleigh and N.C. Beer Month. 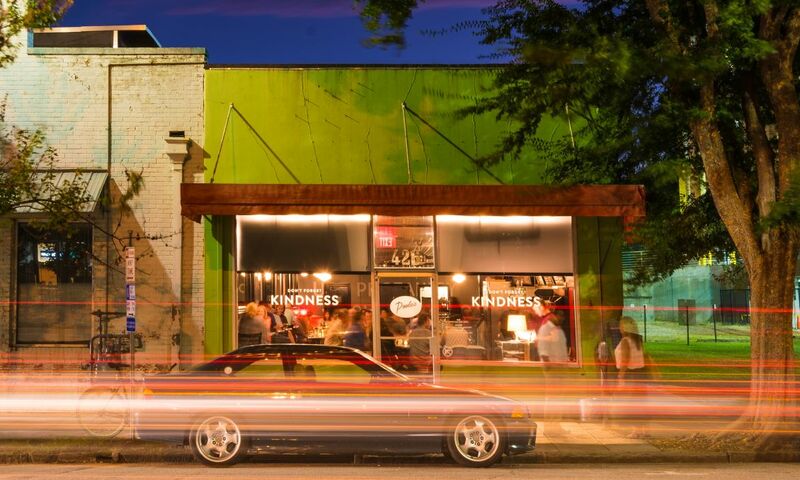 The New York Times featured an article on Raleigh&apos;s Warehouse District. 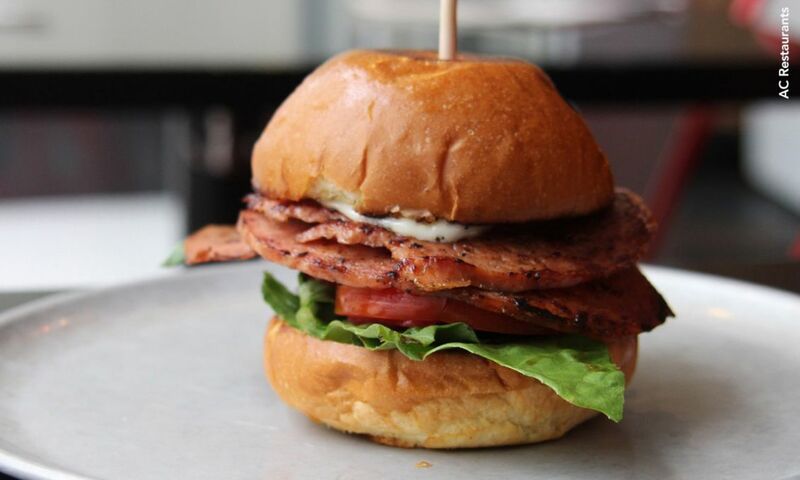 The Fresh Exchange Blog featured 10 Raleigh Restaurant Top Picks. 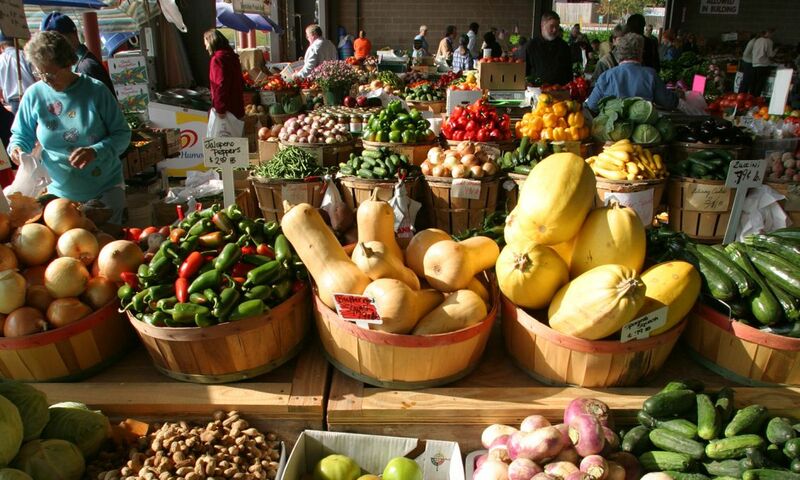 Local travel blogger Karen Dawkins writes about the Raleigh area as a budget destination for the blog The Budget Diet. 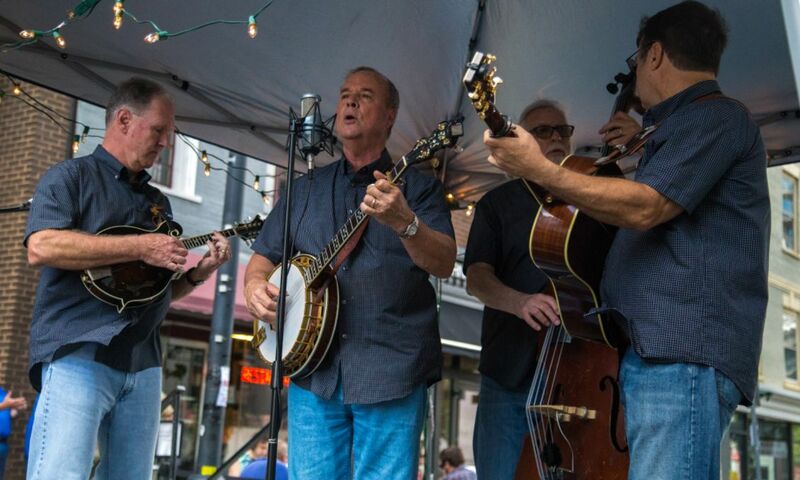 Bluegrass Today ran the first in a series of articles previewing the area as the site of the upcoming International Bluegrass Music Association (IBMA) World of Bluegrass in Sept. 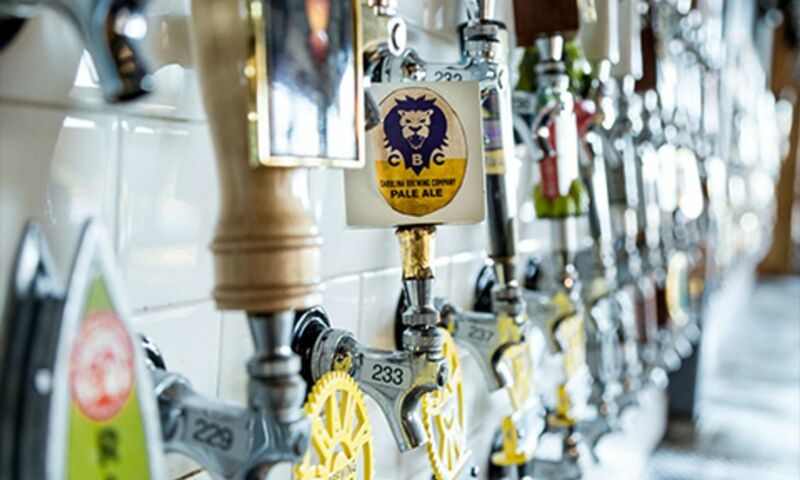 The New York Times featured several Wake County hospitality partners including J. Betski’s and Poole&apos;s Diner in an article touting "Carolina’s Expansive Wine List" and also highlighted N.C. Beer Month. Associations Now covered the impact of military groups having to cut back on meetings and the impact it has on CVBs in an article in the Apr. issue in which President and CEO Denny Edwards was interviewed regarding Association of the U.S. Army (AUSA). 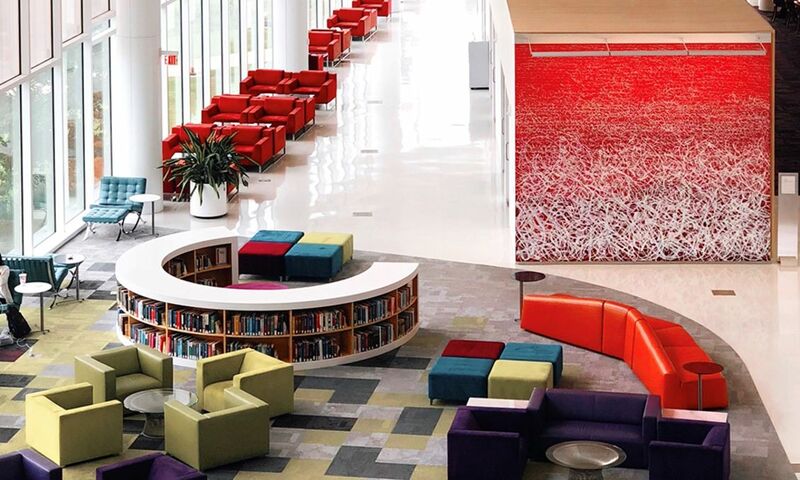 Smart Meetings magazine highlighted how planners can "Tee Up for a Great Meeting" and mentioned Raleigh Convention Center, Red Hat Amphitheater, North Carolina Museum of Art, Lonnie Poole Golf Course at N.C. State University and Duke Energy Center for the Performing Arts. Carolina Living features the Greater Raleigh area in a round-up of Heartland Towns. Winston-Salem Journal featured holiday activities in the Greater Raleigh area in an article titled "‘Cool&apos; Raleigh the Place to Be During the Holidays." 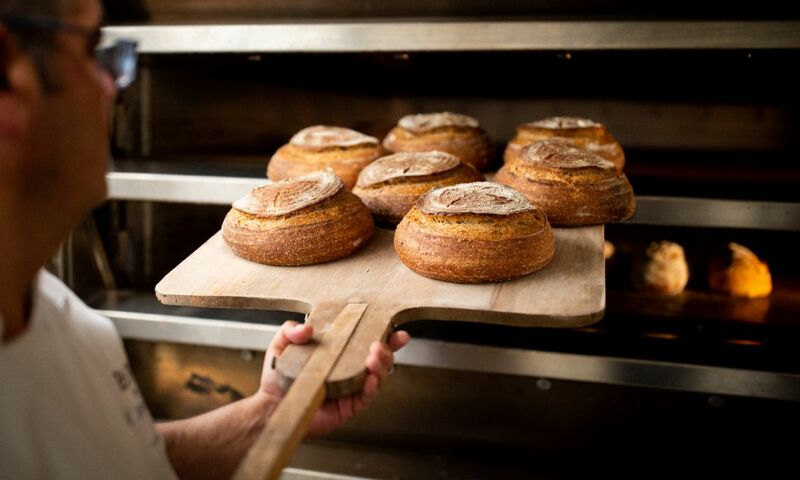 Food & Wine interviewed Master Baker Lionel Vatinet of Cary&apos;s La Farm Bakery for Expert Holiday Tips. Journalist Steve Atlas explores how to visit Raleigh without a car in this feature article on Ecocity.com. Jacksonville Magazine is "Falling for Raleigh" in its Nov. issue. Bluegrass blogger Ted Lehmann is gearing up for IBMA in Raleigh in Sept. 2013 and wrote a first-person blog highlighting many of the venues. Where to Retire magazine, a national publication for baby boomers, featured the Greater Raleigh area in a five-page feature article that mentions numerous hospitality partners. 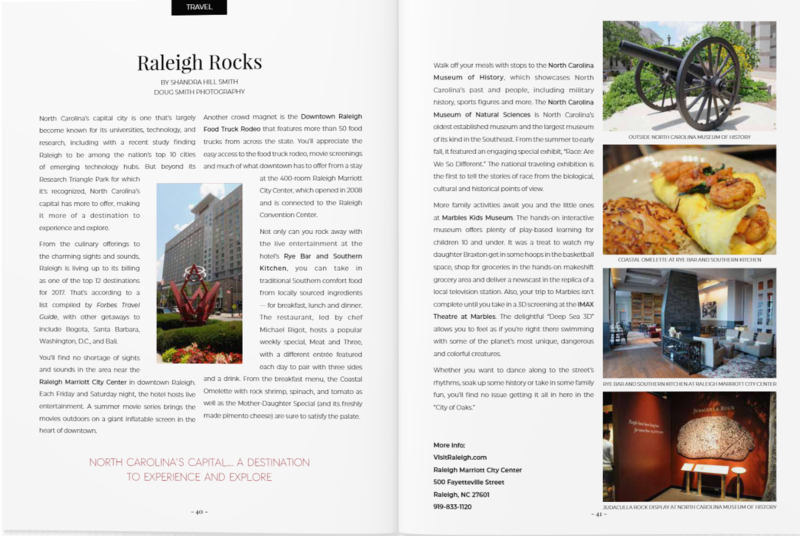 Raleigh was the On The Town spotlight destination in the Oct. issue of AirTran&apos;s Inflight Magazine, GO! Journalist Christina Fields is on a quest to find “Artisan Chocolate in America” on the popular travel blog, Sharing Travel Experiences. Prevue Magazine calls Raleigh "Southern, Smart & Sophisticated" in an article highlighting green companies and high tech schools. 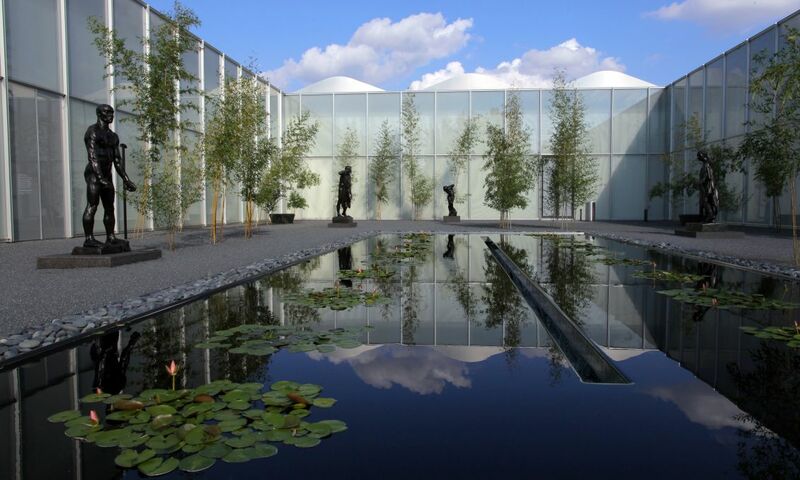 Meetings Focus highlights performing and cultural art venues throughout the state including the North Carolina Museum of Art. The Philadelphia Tribune highlights the Greater Raleigh area in its Road Trip Destination travel column. Social media mom, Kimberly Coleman, featured numerous restaurants and attractions after visiting the area on her blog, Foodie City Mom. Nancy Friedman wrote about Greater Raleigh’s “Sophisticated, Southern Charm” during her visit to the area on her blog, From Hip to Housewife. Sports Travel magazine names Raleigh and Cary as two cities that provide a range of options for sports-event planners. Garden and Gun puts Fire in the Triangle - Got to Be NC Competition Dining Series on their “Southern Agenda”. 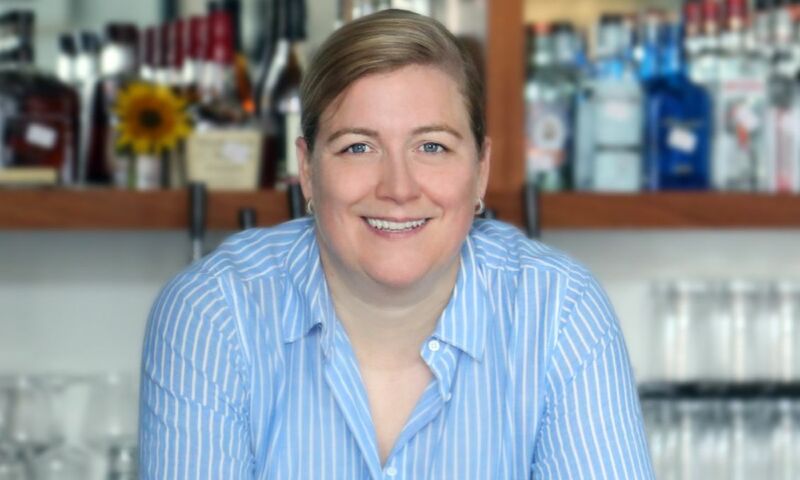 New York Post writer, Jennifer Caeser, wrote an article “Tasting the Triangle” after her visit to the area. President and CEO Denny Edwards was a guest on News Channel 14’s "In Depth" with anchor Marti Skold, to discuss the International Bluegrass Music Association’s announcement to host their annual convention and awards show in our area beginning in 2013. 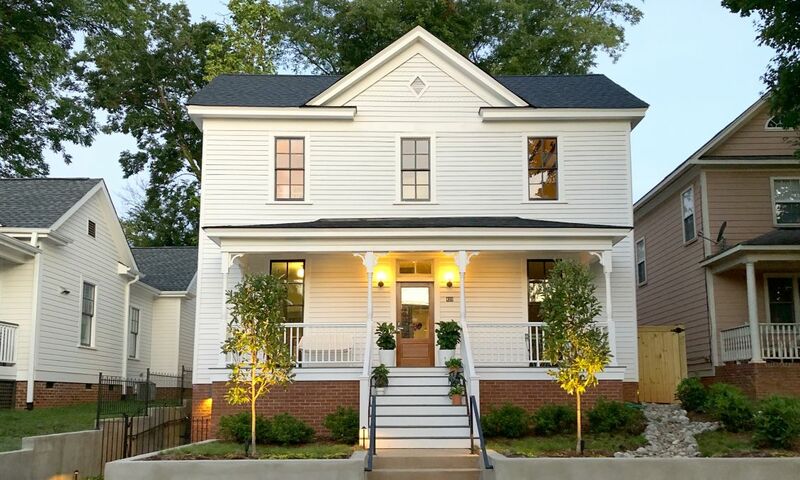 What does $500 buy in Greater Raleigh? Departures magazine creates a unique spending guide. Smart Meetings discusses Raleigh&apos;s attributes and how it is seen as an "emerging" meeting destination. 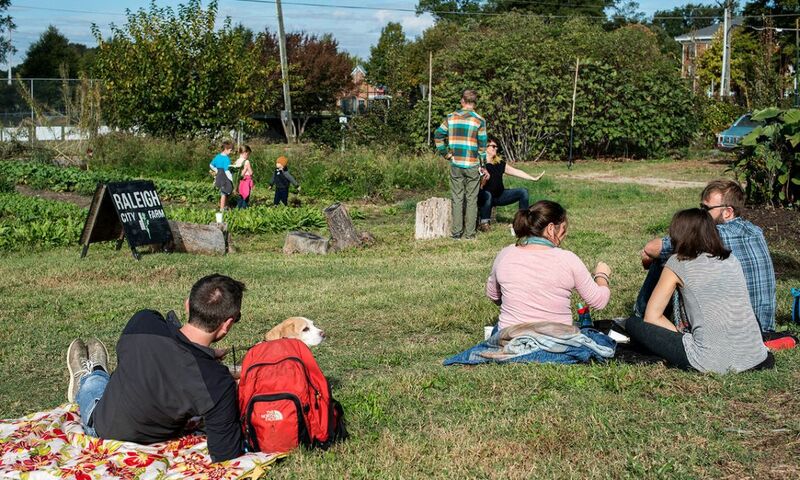 Savor NC offers go-to places in Raleigh for visitors who want to be active, see history, taste some of the best food Raleigh has to offer, and visit the city&apos;s kid-friendly places (pg. 16). Director of communications Ryan Smith talks to the hosts of My Carolina Today about the launch of “Raleigh’s New World” marketing campaign. President and CEO Denny Edwards talks to News 14 "In Depth" reporter Marti Skold on meetings and conventions in the Raleigh area. Meetings Focus, published an article titled, Downtown Meetings: Knowledge = Power where Loren Gold was interviewed on the topic of hosting city-wide meetings and conventions. Director of sales Jana Rae Oliver was interviewed for an article in Meetings Focus highlighting the rise of religious meetings in the article, Divine Destinations. 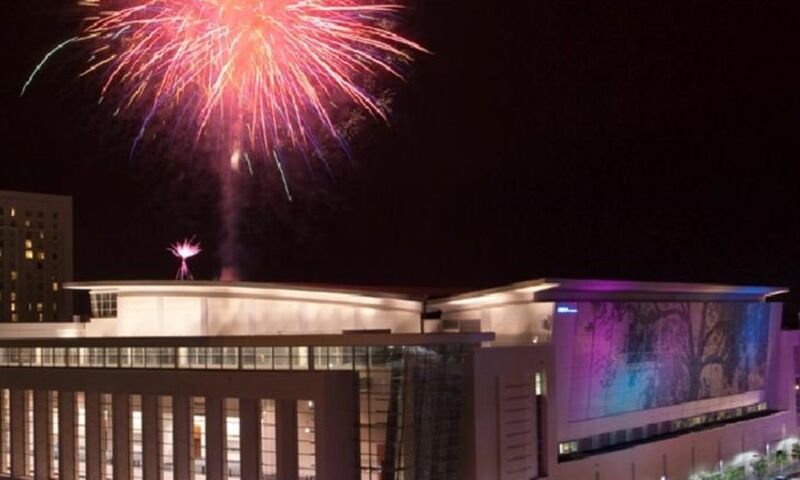 Association News highlights the Raleigh Convention Center, Progress Energy Center and Marbles Kids Museum as spacious meeting places in the Raleigh area. Greater Raleigh is “Brimming with Museums” in this AAA Go Magazine article (use zipcode 27601). TravelingMom visits Raleigh&apos;s popular art museums and galleries. TravelingMom highlights the area’s cultural scene in this destination article. Wines Down South highlights North Carolina Museum of Art&apos;s major exhibition, "Rembrandt in America." Wrightsville Beach Magazine encourages you to “Sneak Away” to Raleigh for a quick weekend getaway. Business Traveler features Greater Raleigh as the “Destination of the Month” in this November issue. Raleigh was the “In Brief” featured destination in AirTran Go magazine this month. Christine Tibbets was “Feeling Exceptionally Well in Raleigh, NC” in her article in the Tifton Gazette. 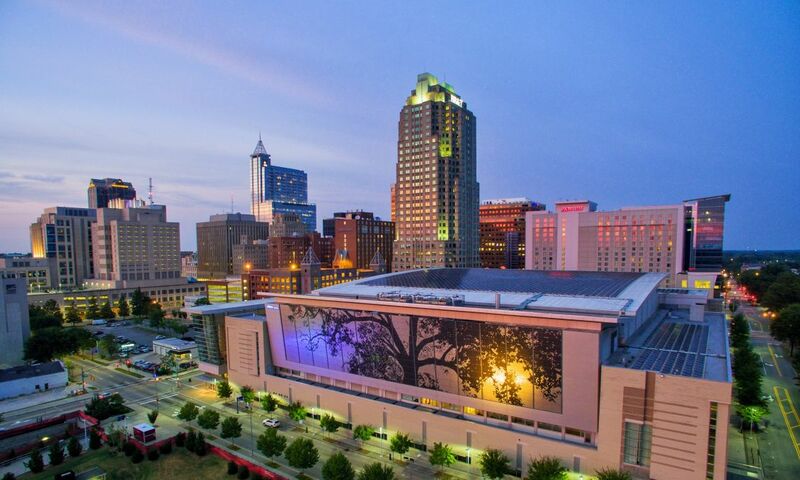 The Washington Times Communities highlighted Raleigh in a feature destination article. The Herald-Dispatch journalist, Tamar Fleishman, wrote about “Travel to Raleigh” in its weekly travel feature. BusinessNC.com features a meeting and convention roundtable where GRCVB&apos;s Dennis Edwards discusses the challenges and opportunities for the Greater Raleigh area. MSNBC.com lists Raleigh as a "Dollar Streching Destination." Portfolio.com ranked the Raleigh area as #3 on its list of Best Markets for Young Adults based on growth rate, cost of living, percentage of college educated, etc. 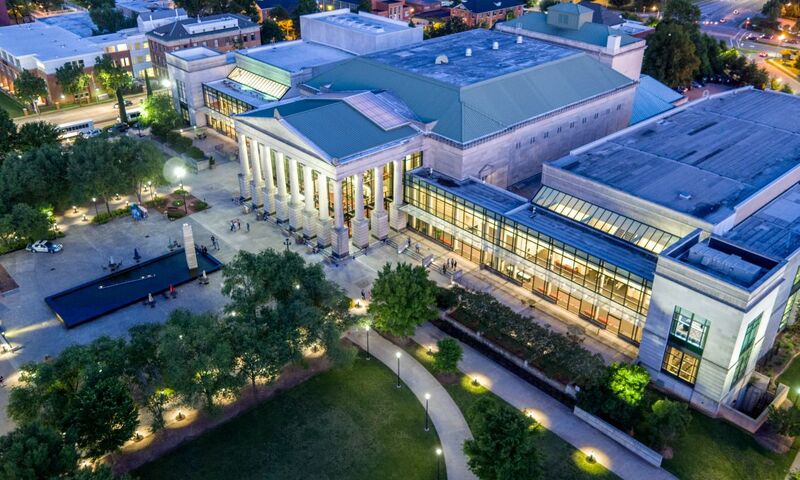 Meetings South covers the Raleigh area highlighting a variety of venues throughout the area. 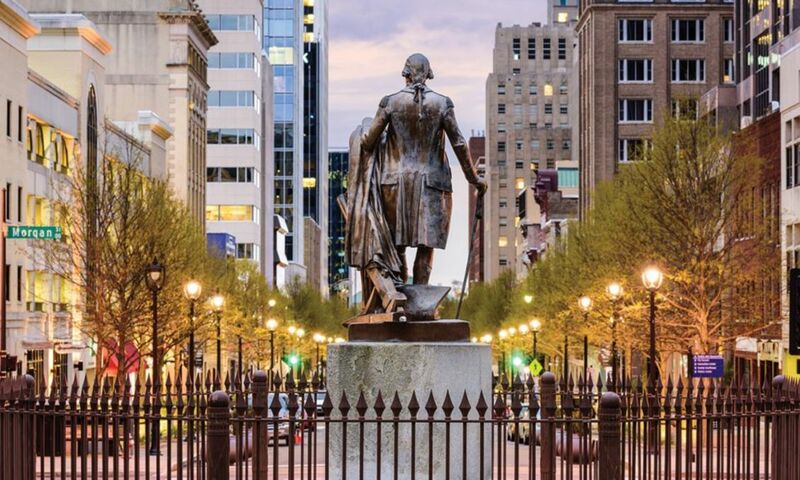 Meetings South covers Raleigh&apos;s renaissance. Successful Meetings thinks "Where all that Glitters May Bring Gold" at the Raleigh Convention Center in this month&apos;s cover story. 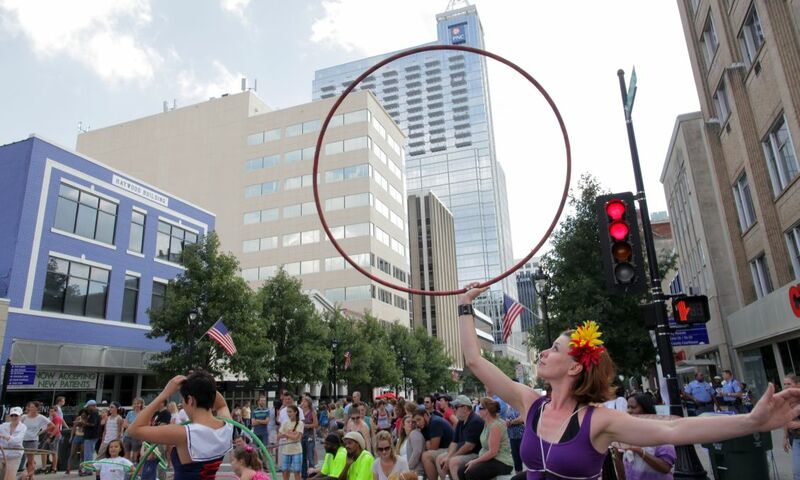 The Greater Raleigh Convention and Visitors Bureau&apos;s new Pulse was a lead story on NBC 17. Successful Meetings featured Greater Raleigh as "Ready for the Primetime." Small Market Meetings featured the Raleigh area a "Boomtown" in a front-page cover story. Ed Mitchell, Pitmaster of The Pit in Raleigh, was featured on The Today Show. 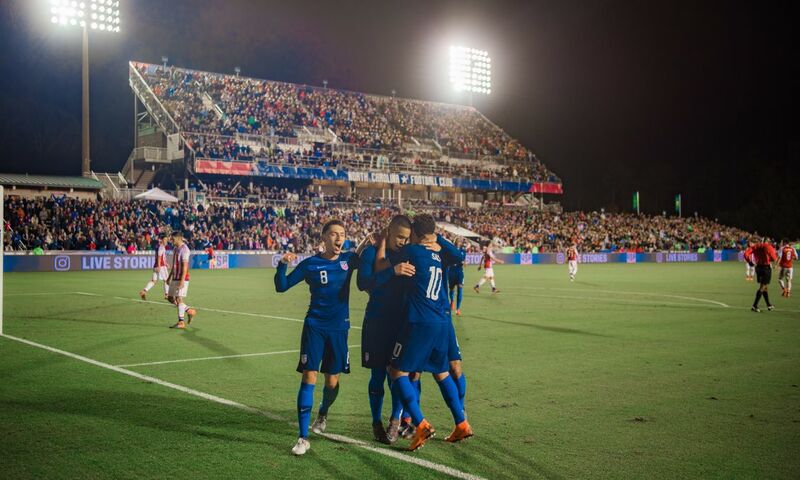 US Youth Soccer Tournament and the economic impact it brings to the area was covered in the Triangle Business Journal. MSNBC.com covered Raleigh&apos;s inclusion on Forbes magazine&apos;s annual "Best Places To Live" list. Travel writer Robert Nebel writes "Goin&apos; to Carolina" for the Chatanoogan.com. Denny Edwards, president of GRCVB, discusses finishing touches to the Raleigh Convention Center on NBC 17. The love of minor league baseball, in which the Carolina Mudcats were featured, was in a story titled, "Diamonds are a Fans Best Friend" in US Airways in-flight magazine. Raleigh was the lead in a story titled, "Triangle of Treats" written by Lynn Seldon for the Atlanta Journal-Constitution. Excitement builds for the new Raleigh Convention Center on Facilitiesonline.com. Smithsonian.com ranks Raleigh on their list of cities for "Cultural Retirement." Raleigh Scores with NCAA Tournament in an interview with Scott Dupree on WRAL. Greater Raleigh CVB brings hospitality community together to tackle water restrictions in a story on News14 Carolina. 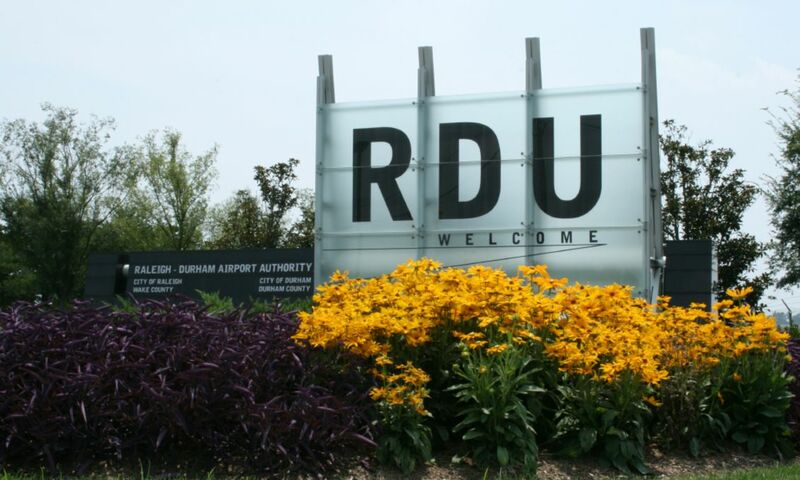 New Businesses Fly into RDU in a WRAL story. New Visitor information Center Debuts with a feature story on WRAL. Raleigh&apos;s draw for the creative class and artisans was a feature story in the The Christian Science Monitor. Marilyn Loeser profiled Raleigh for a piece on TravelLady Magazine. Big Ed&apos;s was covered in the travel blog, Pocket Express. Cary&apos;s La Farm Bakery was highlighted in the November issue of Food & Wine. 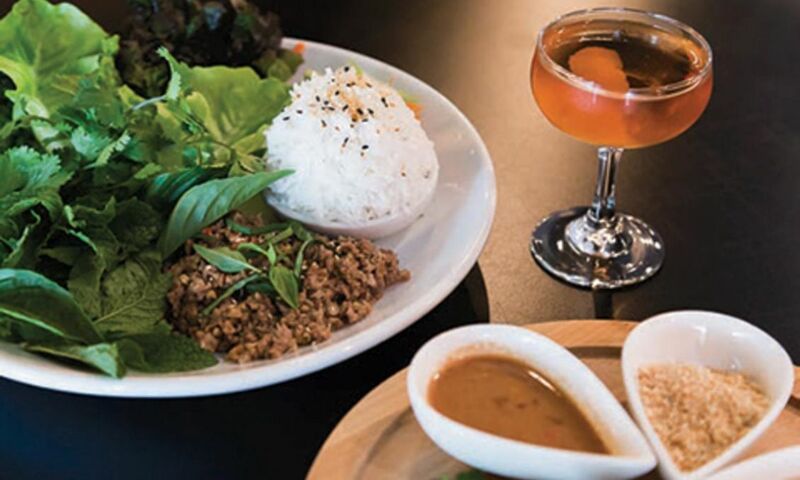 Bon Appetite covers the Triangle food scene, including Vivace and South. Food & Wine highlights Food Across America and mentions The Umstead Hotel and Spa and Herons. Food Finds in Southern Living. 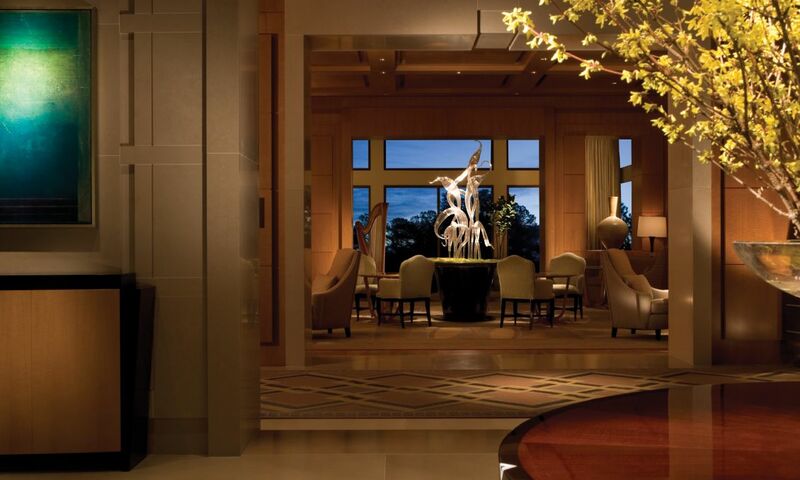 The Umstead Hotel and Spa is featured in Southern Accents. The New York Times features the Triangle on front page of Travel Section.